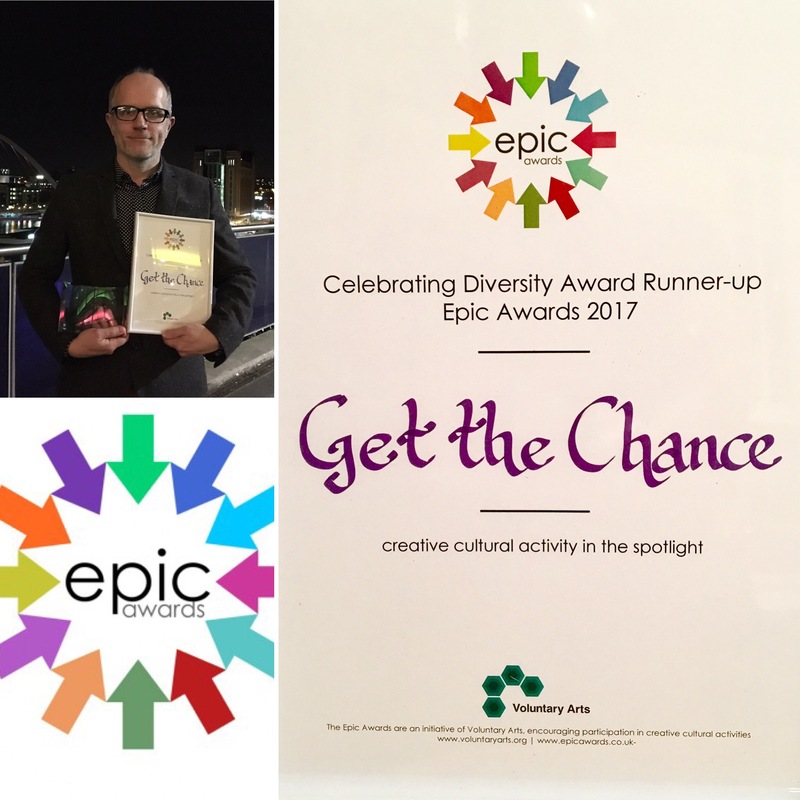 Looking ahead in 2018 Culture, Creativity and Change! 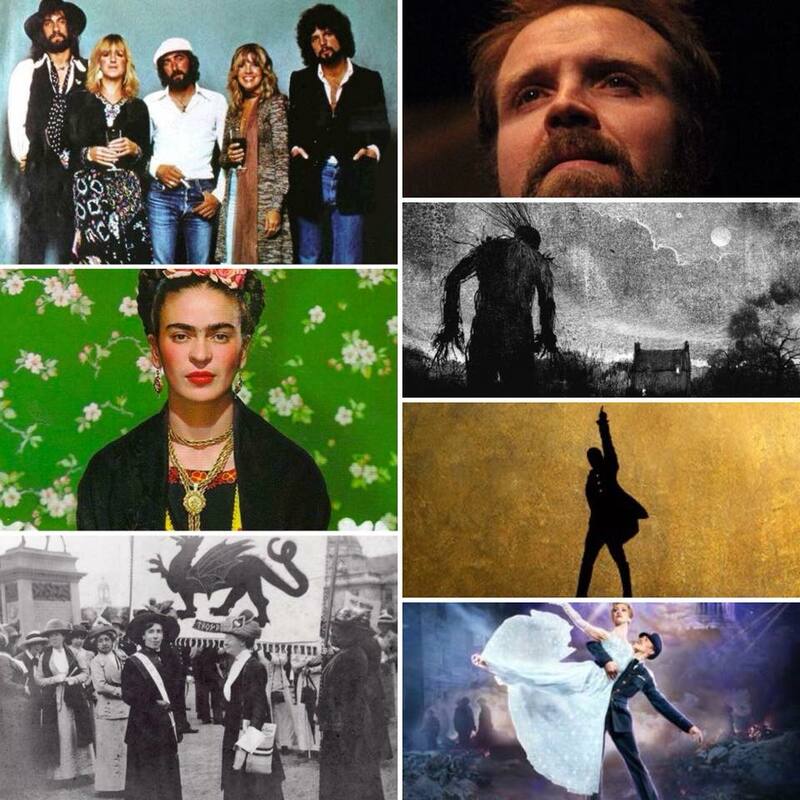 In this article we look forward to a range of cultural highlights in 2018. Thanks to all of the creative artists involved for their own personal response. 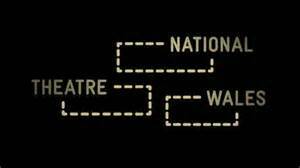 One for me closer to home is to see what brilliant work National Theatre Wales bring out for the anniversary of the NHS. My personal hope for 2018 is to get my play about homelessness I have been writing, funded and performed. that would be a massive personal achievement for me. I don’t plan because I like to wonder in the morning what I’ll go and see that night, but as far as theatre in 2018 is concerned, Owen Thomas’ The Wood at The Torch, Lisa Parry’s 2023 at Chapter and Maxine Peake in Beckett’s Happy Days at The Royal Exchange; those three in a very crowded field along with hoping for surprises in Edinburgh come August. 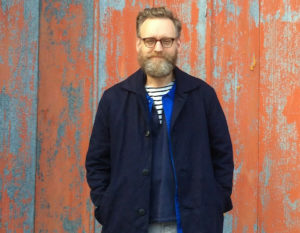 In contemporary art – whatever that means – Ragnar Kjartansson is at the National Museum Cardiff with a new performance piece (co-commissioned with Artes Mundi) called The Sky In The Room. It is a piece which will be played by a revolving roster of organists and sounds beautifully bonkers. At some point this year I will see The Idles live because they want us to, as they say, “dance and laugh and sing in the face of adversity.” 2018 is going to need them and their beautiful clamour. 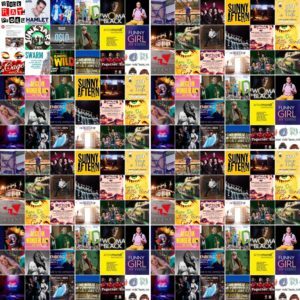 It seems like 2018 is going to be another great year for new theatre in Wales. 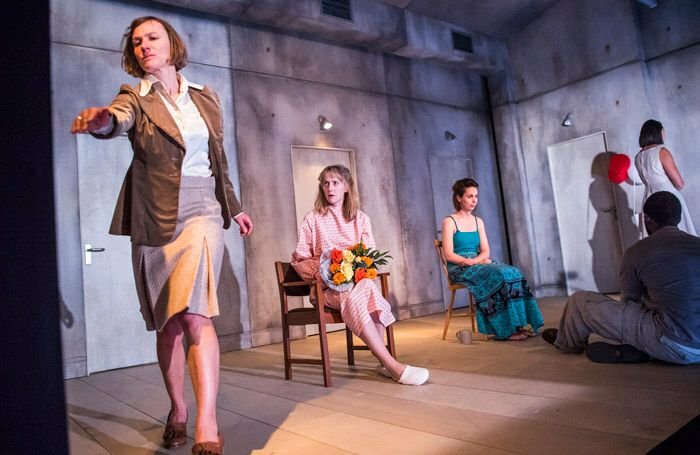 Having seen a development stage of Cwmni Pluen’s next show, I’m really looking forward to seeing a final production from them this autumn. Pluen has a definitive performance style which I’m always excited to see. They’re also working in collaboration with charities during the development of the piece which I think sets a great precedent for future companies making new work. I also can’t wait to see National Theatre Wales’ Love Letter to the NHS. While the NHS is under siege from; medical companies charging them a fortune for treatment; government cuts; surgery closures; and an all time waiting list high; it’s important more than ever to support and celebrate our National Health Service in face of adversity. I’m really looking forward to seeing Louder is Not Always Clearer from Johnny Cotsen in February. 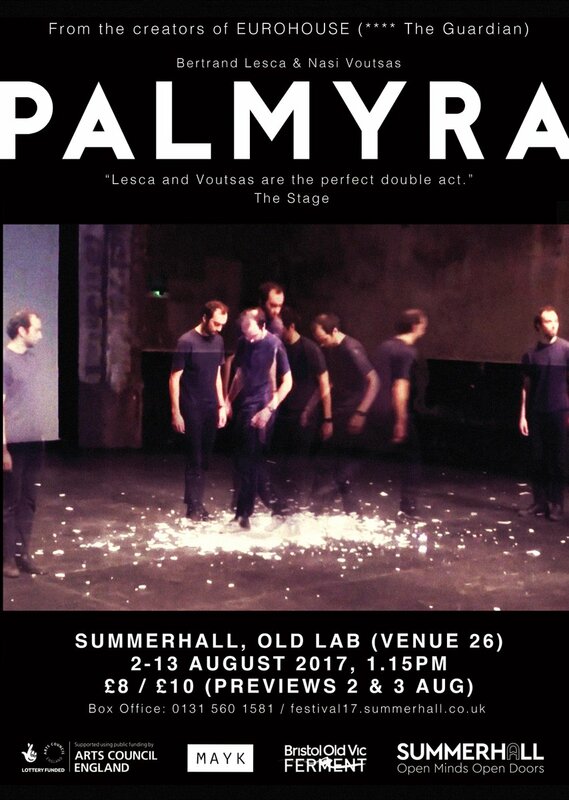 I was disappointed to miss the work-in-progress of this as part of Experimentica last year so I’m glad I’ve got a second chance. 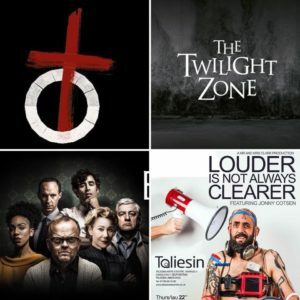 Elsewhere, I’m really looking forward to catching The Birthday Party (one of my favourite plays) in the West-end which has a stellar cast including Toby Jones and also The Twilight Zone from American playwright Anne Washburn which is at the Almeida. Later in the year, I’m really looking forward to catching Eyam at Shakespeare’s Globe which has been written by the very talented Matt Hartley and is being directed by Wales’ own Adele Thomas. Recently I’ve been losing myself in the acoustic EPs of the guitarist Yvette Young who also writes and performs with the band Covet. She will be releasing a piano EP early this year, and having heard some snippets, I can’t wait to hear the whole thing. On a personal creative note, I’m hoping to develop my drawing this year. I seem to have spent most of 2017 hurriedly sketching, but having developed the habit of drawing daily, it’s time I started working on some longer and more thoughtful pieces. I have also just started playing the piano again after many years’ hiatus, so I’m hoping my rusty playing will become slightly less objectionable by the end of the year. Jonny Cotsen with Mr and Mrs Clark producing and touring Louder is not Always Clearer, a project I had the pleasure of supporting the development of in its early days with NTW. Festival of the Voice in June for more incredible vocalists and a no-holds-barred look at the power of the voice. 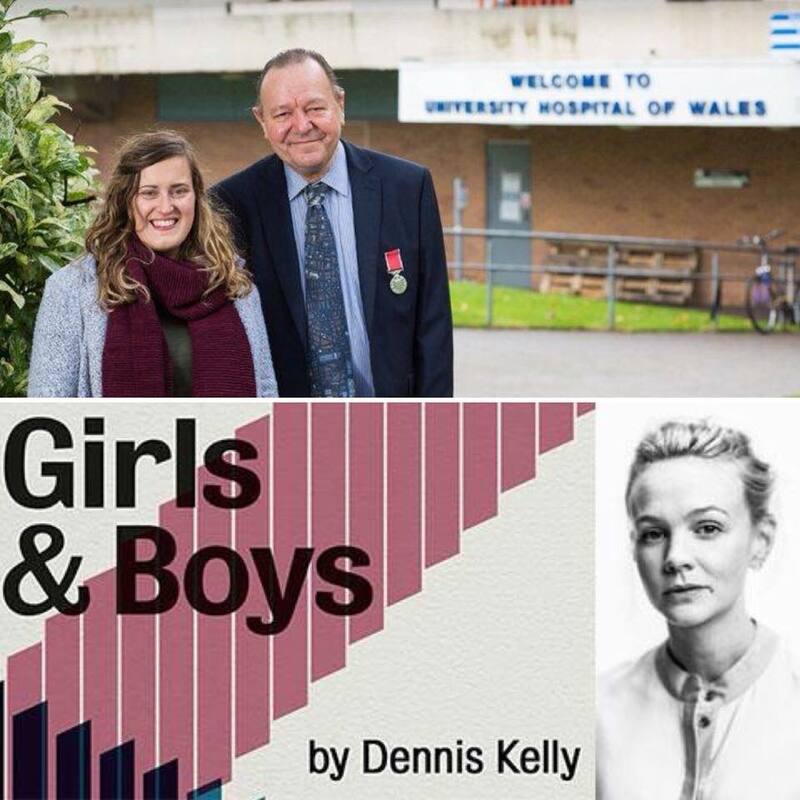 As well as our own NHS70 Festival of course, Theatr Genedlaethol Cymru’s Nyrsys by Bethan Marlow marking the 70th anniversary of the NHS. 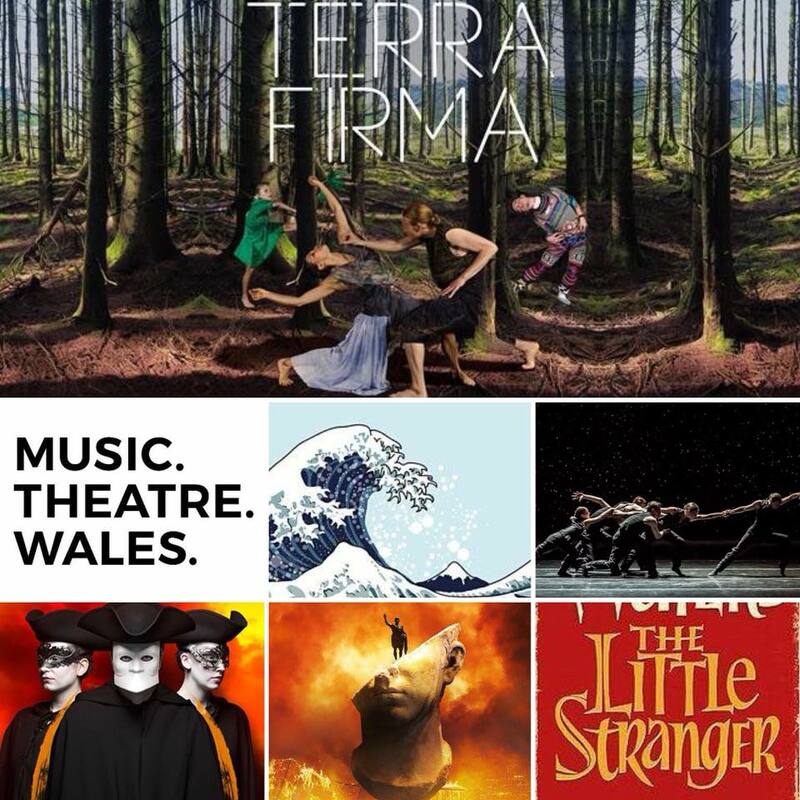 The Terra Firma Spring Tour by NDCWales including the mesmeric Tundra by Roy Assaf. 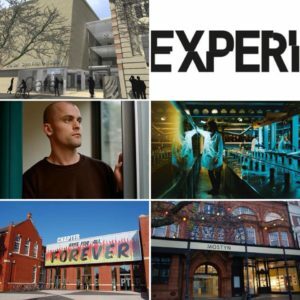 EXPERIMENTICA Festival at Chapter will back again for another year of live art from all over the UK and further afield in April. And finally I am hoping to make it along to Abercych to join one of their experimental Twmpaths with Simon Whitehead and his collaborators. 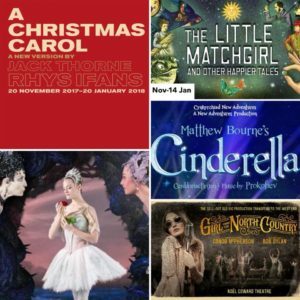 The Cultural Events in 2018 that I am already booked into and greatly looking forward to seeing starts on Saturday 6th January with a visit to The Old Vic to see Rhys Ifans as Scrooge in the acclaimed production of “A Christmas Carol.” Just a few days later and we are off to the Bristol Old Vic to rendezvous with Emma Rice’s “The Little Match Girl”. At the end of January I am delighted and privileged to return to Glasgow as one of the 180 delegates to Showcase Scotland – a very important element within the world’s greatest mid-winter music festival. The five days I will spend here will definitely kick away any lingering vestiges of mid-winter blues! Don’t know yet which artists I will see/hear in total but I am pleased that in the festival’s 25th anniversary year the Showcase Scotland partner is Ireland. Still hoping that one year Wales will create something of lasting value like this event which has had such a powerful impact on the development of Scottish Artists in an international setting. Later in March I will definitely be re-visiting one of my favourite productions of 2017 – The Old Vic’s “Girl From The North Country” – now transferred to the Noel Coward Theatre in the West End. Go see it if you think Bob Dylan is a genius, go and see it if you don’t know what all the fuss is about and marvel at what Conor McPherson has concocted. 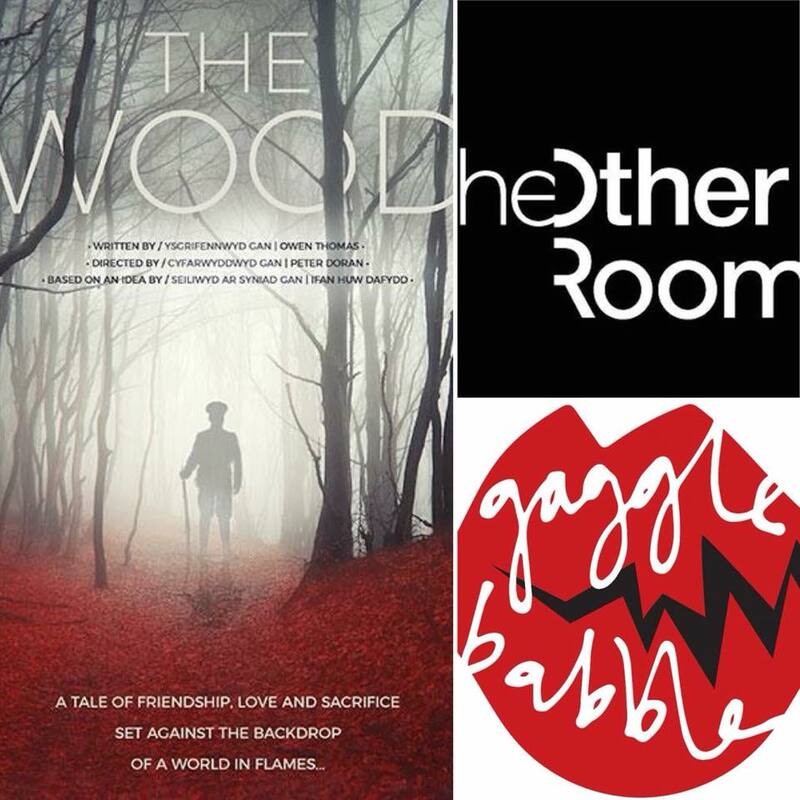 Encouraged by my own top management I am looking forward to seeing two inspirational dance productions at the WMC in April from Birmingham Royal Ballet and May from Sir Mathew Bourne’s New Adventures. I have yet to pick what to see closer to home in the valleys but am looking forward to visiting RCT Theatres, The Borough Theatre and Blackwood Miner’s Institute on several occasions during the year. 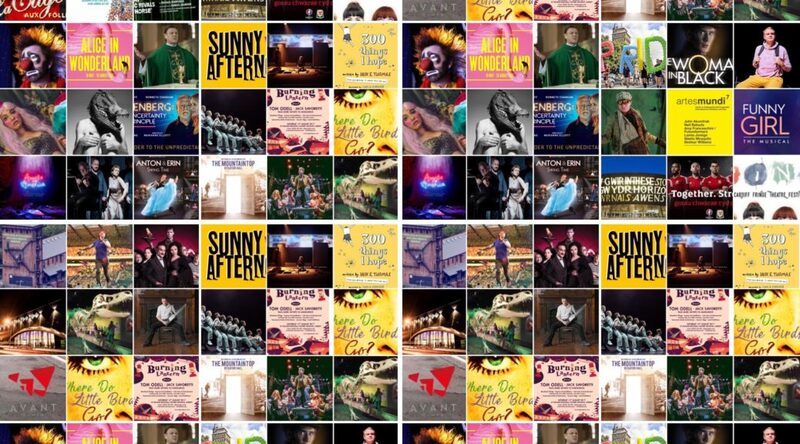 My personal hopes for 2018 include doing my best to ensure that Theatr na nÓg builds on the great achievements of 2017, that Creu Cymru continues to be the essential organisation for the theatres and arts centres of Wales and, on a real personal note, that my band Allan Yn Y Fan have our most successful concert ever in Blackwood Miner’s Institute on 28th March! I am sure that every other contributor will make their feelings known about “Brexit”, “POTUS”, the “Maybot” etc. etc but I am deliberately trying to keep this light-hearted. Let’s hope that despite everything the Arts In Wales continue to deliver life-changing experiences, uncover nascent talent, connect more deeply with their communities and audiences. Finally I hope that BBC Wales finally delivers a year-round coverage of the Arts In Wales. V&A’s Frida Kahlo Making Herself Up exhibition opening in June 2018. My personal hope is to be continued to be inspired and surprised by writers and artists pushing boundaries and creating work that moves me and reminds me what it is to be human. 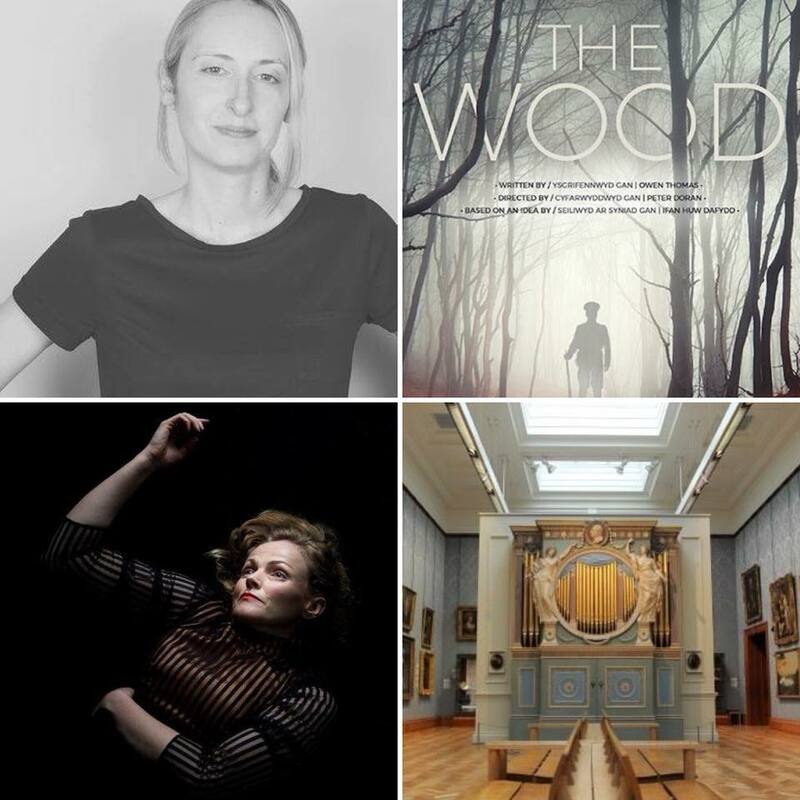 On a personal level, I’m really looking forward to directing our next production, The Wood by Owen Thomas; its always exciting to tackle a new piece of writing, one never really knows if it will quite come off as expected or hoped. Giving the success we had with Owen’s last play Grav (shortly to go to New York), we have high hopes but we know that there’s a great deal of hard work in front of us. I’m also working on it with two actors, whom I’ve never directed before (Ifan Huw Dafydd and Gwydion Rhys), so that gives an extra frisson. Elsewhere, I always look forward to Vamos coming to the Torch; Vamos are a full mask company who do wonderful work, this season they are touring a piece about the war in Afganistan called A Brave Face, one to look out for. 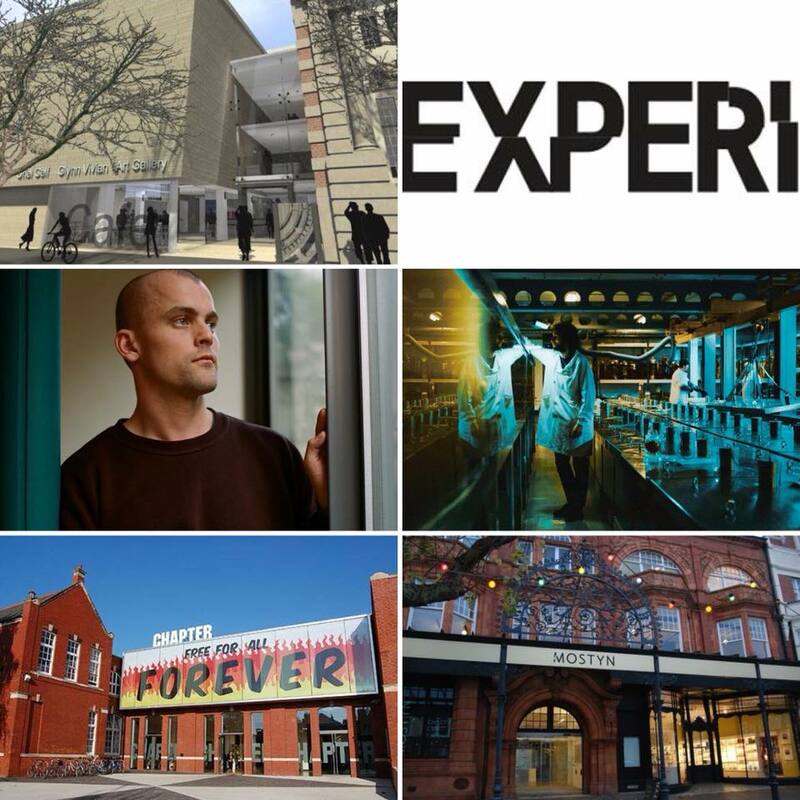 I loved Liverpool Everyman’s repertory season last year and I’ll be interested to see if the second season is as successful – A Clockwork Orange sticks out as a highlight for me. 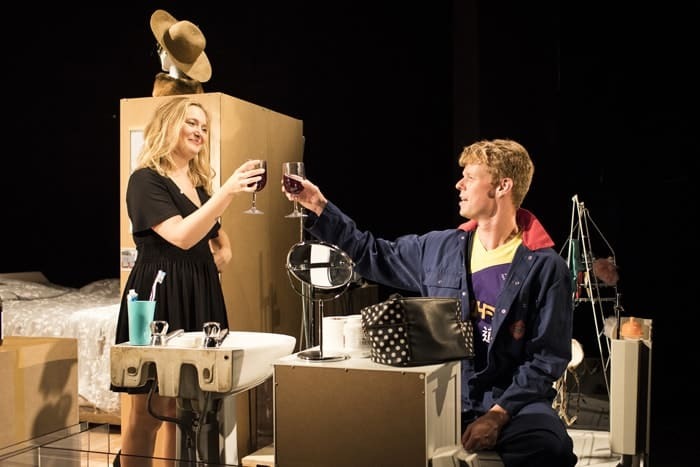 NTW are coming to Pembrokeshire with The Tide Whisper – theatre in a boat off the Pembrokeshire Coast; you won’t get a better or more dramatic backdrop, let’s hope they compliment each other. My personal hopes? That the true value of art and culture is appreciated and not seen as the icing on top of the cake. It’s not a commodity that can take it’s stand in the market place and compete; it has to be nurtured, supported, fed – if not, it will wither away and die. In a time when Netflix is elevated to the role of religion, Shezad Dawood’s Leviathan satisfies our obsession with marathon box set watching, with this ten part film series. First at last year’s Venice Biennale and the series continues now at Mostyn, Llandudno in March. Cardiff’s James Richards, who represented Wales in Venice last year, will be bringing Music for the Gift back home to Chapter opening at the end of February. Ragnar Kjartansson, Artes Mundi 6 nominee, will return to Wales to present a brand-new performance piece, The Sky in a Room which will feature a series of revolving local organists performing the 1959 hit song “Il Cielo In Una Stanza” (The Sky in a Room) on the 1774 Sir Watkins Williams Wynn organ. 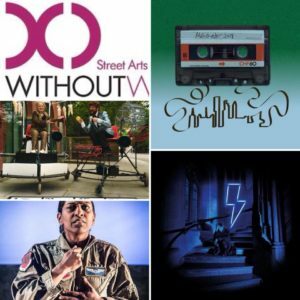 Chapter’s Experimentica, will roll into town again in April and is always guaranteed to raise a smile and challenge in equal measure with a real range of refreshing voices and ideas from the world of live art. NS Harsha, Artes Mundi 3 winner, will return to Wales at Glynn Vivian in Summer 2018 presenting screening printing, installation, sculpture and drawings. Glynn Vivian will also be opening late once a month offering performance, music, workshops as well as curatorial opportunities for young people. It would be a bit matey of me to select 2018 highlights from Wales, so the two things outside of Wales that I’d really like to see are Chris Goode’s staging of Derek Jarman’s Jubilee which has been at the Royal Exchange n Manchester and is going to the Lyric Hammersmith. Because punk’s not dead. 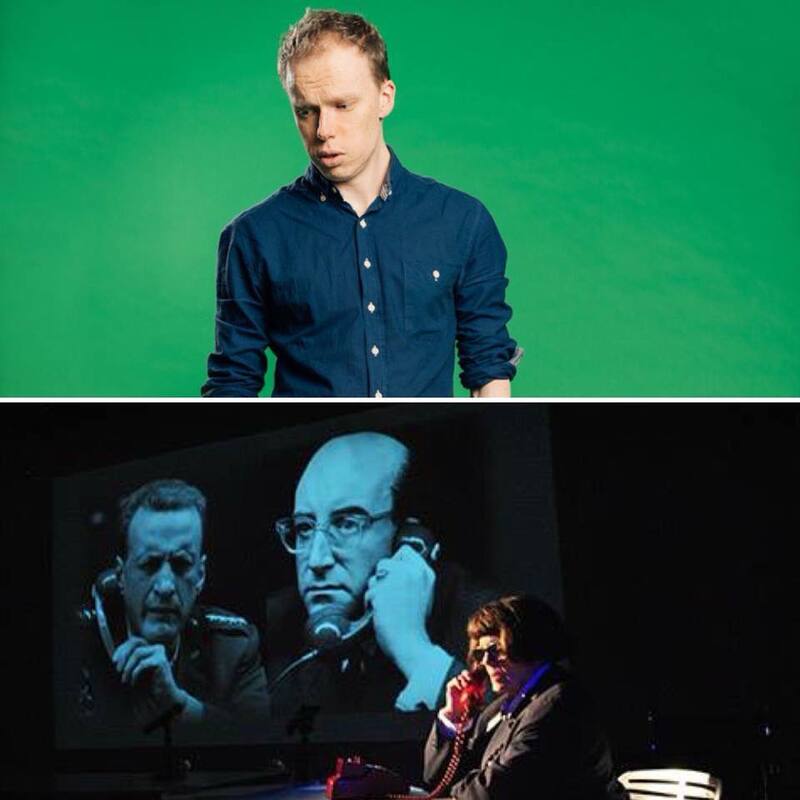 The other is Dead Centre’s new production at the Schaubuhne of Shakespeare’s Last Play – partly to see the work and partly to go to Berlin as I’ve never been there and I’d like to go before the world ends. I’m a little overwhelmed by how far away we are from how I’d like things to be in 2018. There’s so much to do in so many areas, it would be easy to give in and give up. But I’m drawn to some of the determined spirits out there and so my main hope for the sector is that we move to a more productive, more innovative, less hierarchical approach to making work. I would like to see some of the fake differences between Arts Council Wales portfolio and the remaining group of artists and companies done away with. I’d like to see individuals and companies allowed to apply for larger sums and for more extended periods of work, instead of one-off projects. Most of all I’d like to some vision that can lead to the release of the amazing potential of artists in Wales and their work. Oh, and a bit more honest dialogue and a lot less self-referential, self-congratulatory bulls**t.
There’s so much exciting art to see in 2018! February I can’t wait to see The Sky in a Room by Icelandic Artist, Ragnar Kjartansson. The exciting performance will see a series of revolving organists performing the 1959 hit song “Il Cielo In Una Stanza” (The Sky in a Room) on the 1774 Sir Watkins Williams Wynn organ, and will run from 3 February to 11 March at National Museum Cardiff. Photographer Mike Perry’s exhibition Land/Sea opens at Mostyn, Llandudno in March and the Ffotogallery tour continues to Aberystwyth Arts Centre. 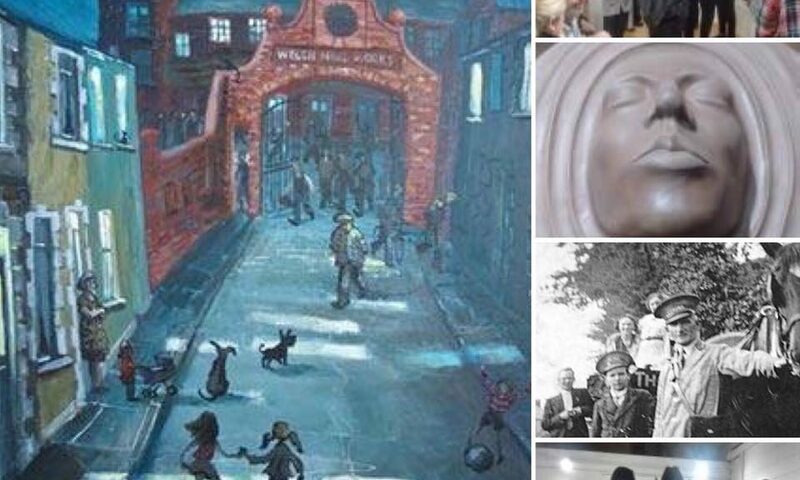 April: the moment everyone in Wrexham has been waiting for: The opening of Tŷ Pawb, the new galleries and market and cultural centre with Dydd Llun Pawb and the launch of “Is this Planet Earth?” curated by Angela Kingston and touring later in the year to Aberystwyth Arts Centre. 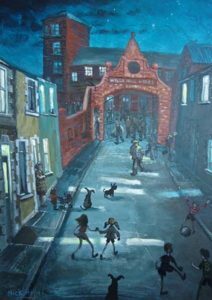 June sees The Oriel Davies Open inviting artists from Wales, UK and internationally through Open Call to show work. 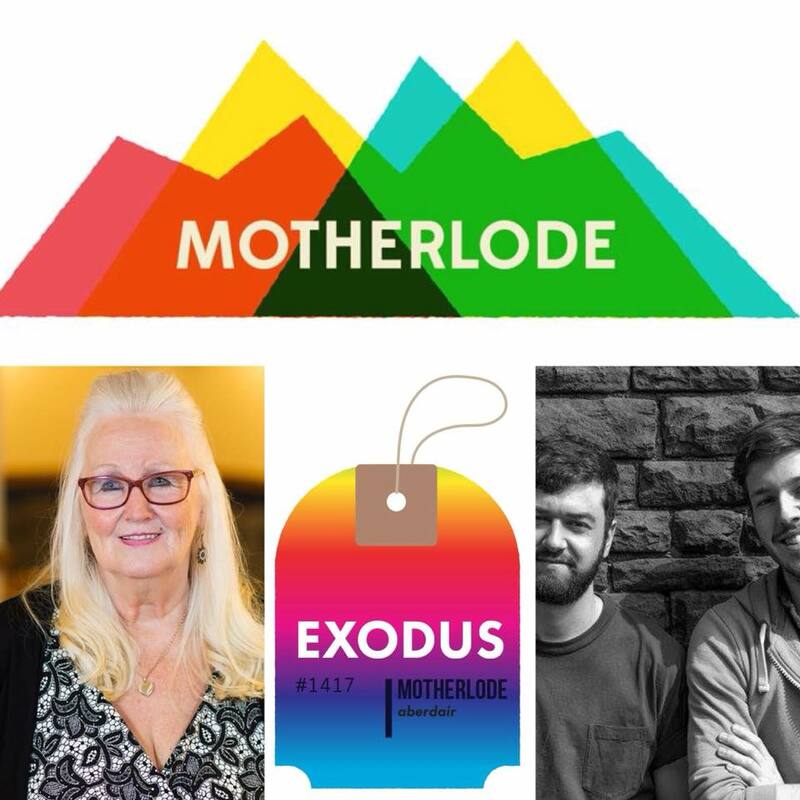 I’m on the selection panel along with Jane Simpson (artist & Director Galerie Simpson), Matthew Collings (writer and curator), Sacha Craddack (curator and writer. TBC), and Alex Boyd Jones, Curator OD. Oriel Davies Open 2018 23 June – 5 September. September at Oriel Davies Legion Projects (artist-curators Matthew Hughes and Una Hellewould) will explore witchcraft through curation of a group exhibition, inviting a diverse set of contemporary artistic practices to respond to key ideas around witchcraft. My personal hopes are that 2018 will be a time of unleashing potential, harnessing prosperity and celebrating the power of community within society. 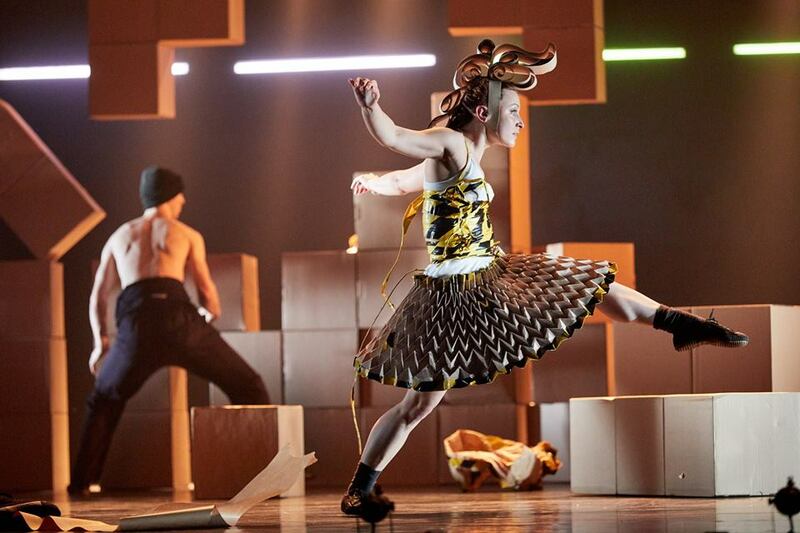 Firstly the home team: NDCW are about to set off on our long Spring tour taking in all of Wales, the UK, Austria and Germany with works by Resident Choreographer Caroline Finn (in Cardiff you have another chance to see her beautiful, haunting FOLK) and the mesmerising Tundra by Marcos Morau – already an international hit. 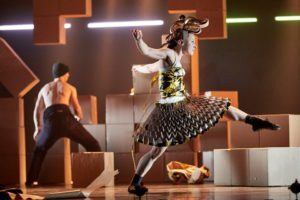 Later this year watch out for a contemporary dance-opera we’re presenting with Music Theatre Wales in October/November. It’s a beautiful work. But what else? Artist James Richards’ mysterious work for the Venice Biennale last year is coming to Chapter in February and I’m interested in seeing again his exploration of hidden gay histories. Our former dancer and choreographer, Matteo Marfoglia, makes rich work of personal histories full of emotion and surprise, so I’ll be there for any performances. And I’ve already got my tickets for the RSC’s Cicero plays (Imperium) based on Robert Harris’s wonderful books, for WNO’s Don Giovanni in February and BBC NOW’s concert of work by Messiaen and Debussy in March. I’ll have to travel to London to see Ballet BC’s Emily Molnar new work based on works by Emily Dickinson and Jeanette Winterson: sounds intriguing. There’s a new Kate Atkinson novel coming up (always worth it) and a film adaptation of Sarah Waters’ creepy A Little Stranger. 2018 seems like it’s going to be a great year, at least culturally! Politically, all bets are off. 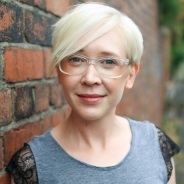 Angharad Lee, Theatre Director, Educator, Facilitator and Lecturer. 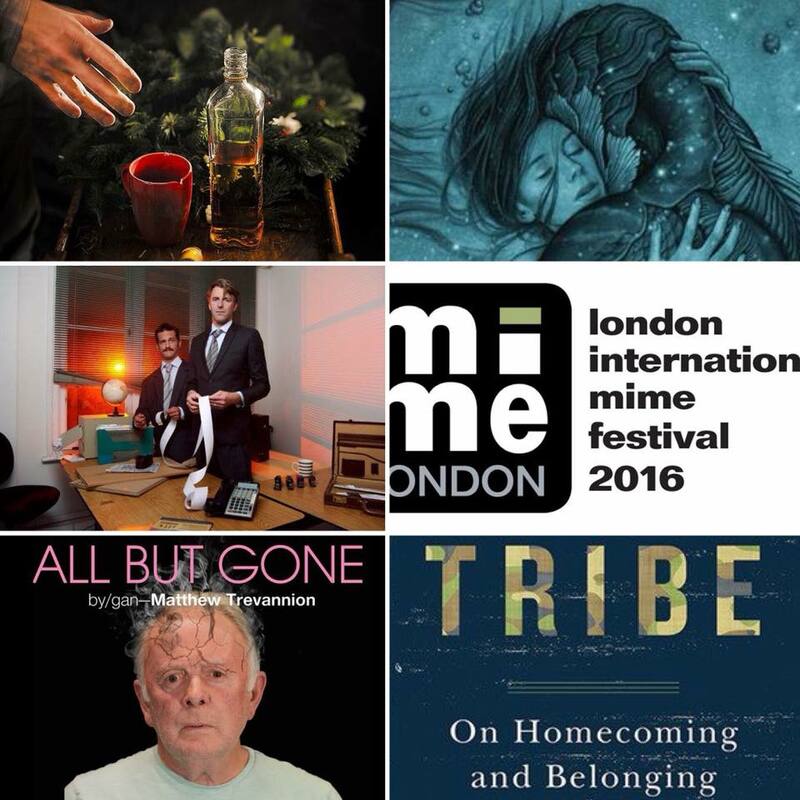 2018 London International Mime Festival. Anything and everything that is shown here. Go go go…..
To finally see every organisation in Wales tackling all barriers to access, rather than relying on one or two organisations. 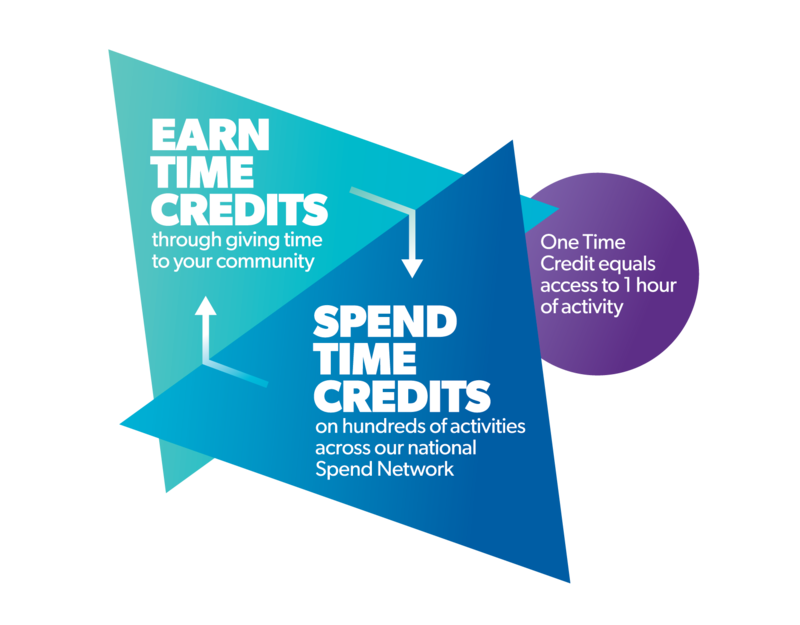 Saying this, we have to upskill those creating the work at grassroots level for this to be achievable, so I hope to see lots of money being ploughed into this. I hope my production of the musical The Last 5 Years comes to fruition and tours Wales Autumn 2018 as this has access at its heart and supports BSL as a culture. 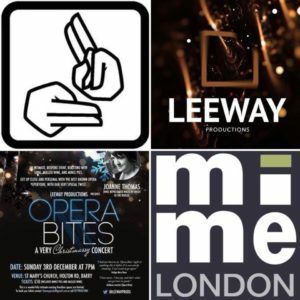 I look forward to seeing our Opera Bites event expanding a little as well as some exciting developments with our 10 Minute Musicals project come to fruition. We have a sharing of this work at Millennium Centre, February 25th, Blackwood Miners Institute, February 27th and then we are sharing it at Focus Wales 2018 which is hugely exciting for this project and all the artists involved. There is a piece I started to develop last year with Eddie Ladd based on Rapture by Carol Ann Duffy which we hope to pick up this year. It’s a piece very dear to me therefore I hope we make this work for us. Building in this there may be another exciting collaboration with Eddie in the pipeline. Watch this space. Our work compliments each other wonderfully. I hope to see more of my daughter this year, drink less rose wine and get back into the gym at more regular intervals. I am also hoping to renovate my kitchen and become a better cook!! I have also vowed to explore the landscape I live within this year and reconnecting with nature a little. 2018 feels like a fresh year. There’s a lot of courage in the air, people are standing up and shouting out, dirty secrets are no longer protected and new manifestos are being drawn. I’m crossing all my fingers that this also means that we’ll see fresh and courageous cultural activity all over Wales in all languages. 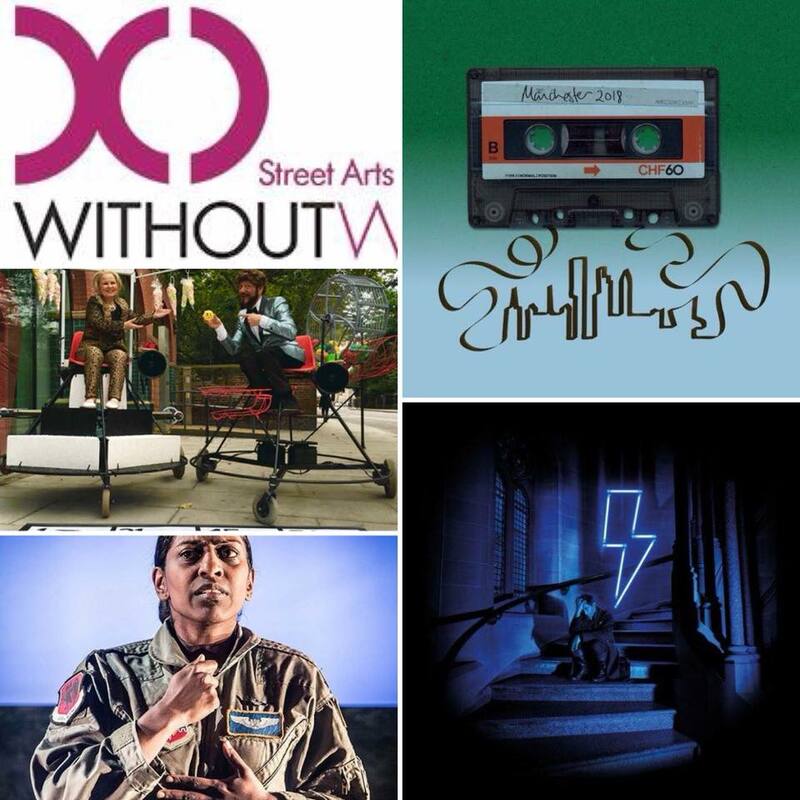 NTW’s Sisters and Common Wealth’s “Radical Acts”. I’m excited that this year promises a lot of developmental support for creatives both new and established with National Theatre Wales’ “Creative Development” and Theatr Genedlaethol’s “Theatr Gen Creu”. And speaking of change, I’m very excited to visit the Eisteddfod Genedlaethol this year with it’s new experiment of having no boundaries which will hopefully create a welcoming and inclusive environment for all of us living in Wales. I hope we all, and I’m very much including myself here, have the courage to dig deep and create what we need and want to create this year. Not what we think people will go and see or what we think will tick funding boxes but what our guts are screaming for us to make. 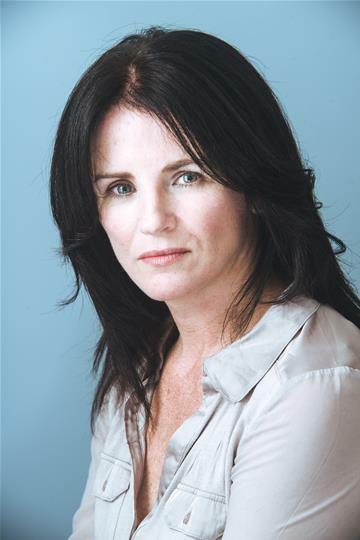 I am hugely excited to be working with the fantastic Welsh writer Katherine Chandler and the next generation of acting talent on the world premiere of Buddy. 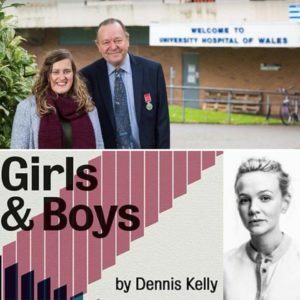 The play is part of NEW:2018 and is a co-production between RWCMD and Sherman Theatre. 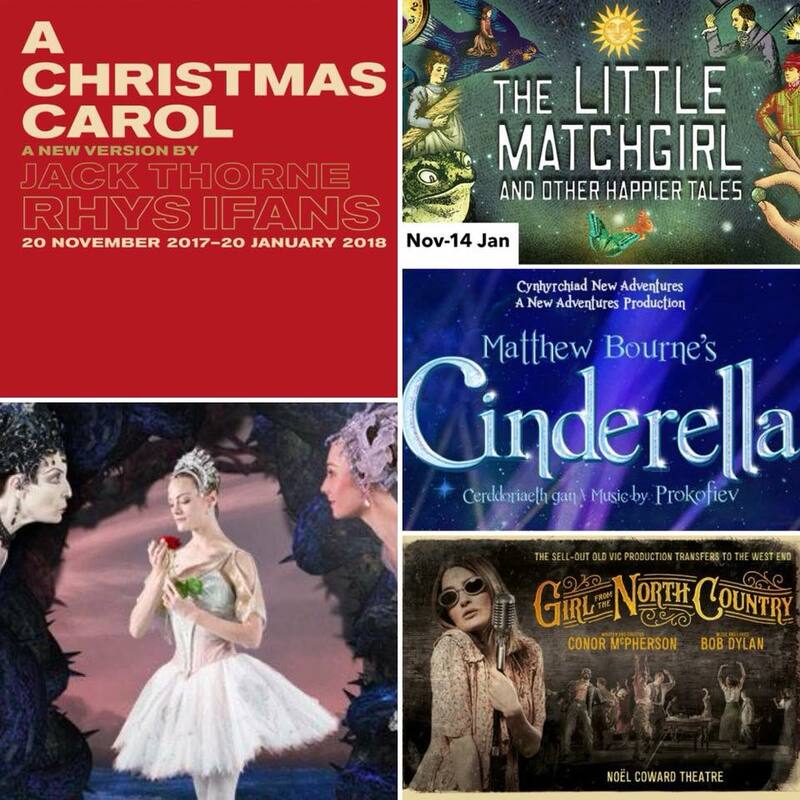 My wish for the New Year would be for anyone living in Cardiff who hasn’t been to the theatre yet to give it a go! I’m looking forward to so many cultural delights during 2018. It starts with an R&D for my first play “Bruises” which won the Script Slam at Pontardawe Arts Centre. 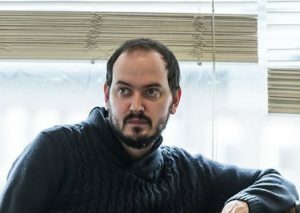 Then my husband Christian Patterson opens at The Donmar Warehouse in “The Way of the World”. So I’ll be off to London where I hope to take in a few more plays. 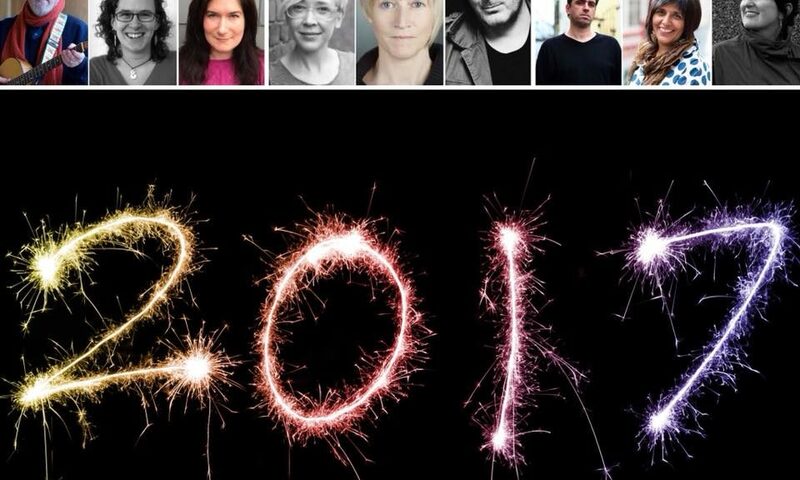 Here, I’m also looking forward to seeing The Wood by Owen Thomas, Nye and Jenny by Meredydd Barker and Dublin Carol by Conor McPherson at Sherman Theatre. My personal hopes for 2018; In light of the funding threats to my local arts centre at Pontardawe, I hope that the people who make these detrimental decisions recognise the importance of the arts and their effect on our wellbeing. I hope that communities begin to make more use of all local arts centres and that artists and creatives have the freedom and funding to encourage and inspire those that are blind to its relevance in our society today. 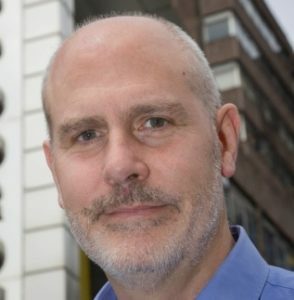 Mae son bod cynhyrchiadau newydd ar y gweill gan Mercury, Neontopia a Triongl, a gobeithio bydd Na’Nog yn atgyfodi Nye and Jennie gan i mi ei fethu yn y Metropole yn Abertileri,a pwy a wyr pa ddanteithion daw i’n diddanu pan ddaw’r Eisteddfod i Gaerdydd ym mis Awst. O’m rhan fy hun mae gen i brosiectau gyda’r Theatr Genedlaethol, Na’Nog, Theatrau RCT a Canoe a dwi’n gobeithio bydd fy sioe un menyw am Rachel Roberts (Yn Gymraeg) yn digwydd o’r diwedd! 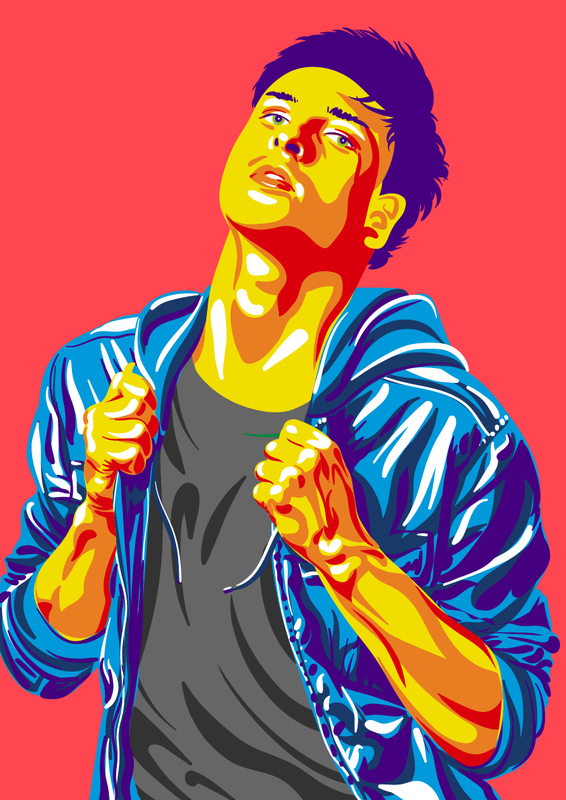 I am looking forward to Theatr Genedlaethol’s latest production Y Tad ( Le Pere) by Florian Zeller trans. Geraint Lovgreen (Touring 21 Feb- 16 March) with Dyfan Roberts as the father. Dyfan and I began our careers together back in 1970! 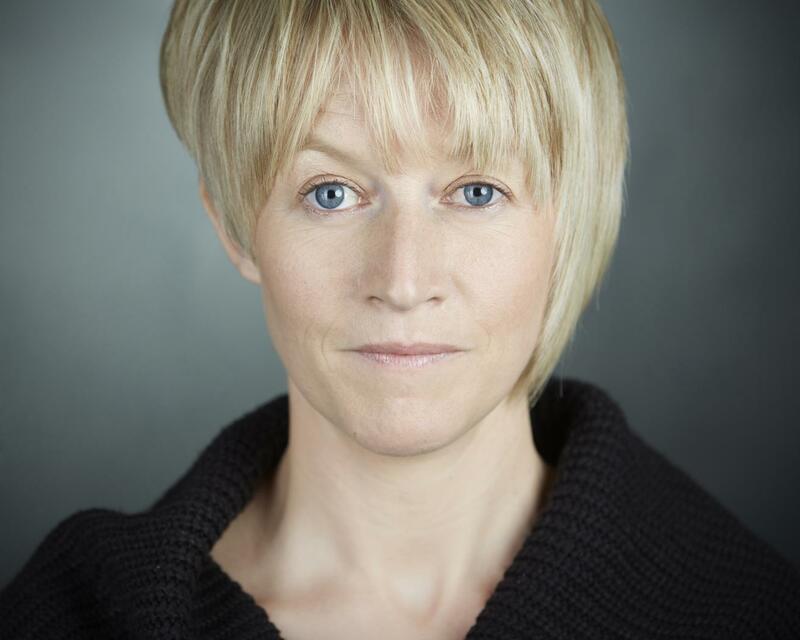 Also Theatr Pena’s production Women of Flowers by Sion Eirian after Saunders Lewis (Touring 1Feb-9 March) with the amazing Sara Lloyd Gregory as Blodeuwedd. I shall venture to Pontrhydfendigaid for a poetic and cinematic recreation by Mike Pearson and Mike Brookes as they embark on a three year project with NTW under the title The Storm Cycle with Nothing Remains The Same (15-17 Feb) and they promise seating- indoors! And fireworks! In a timely production about minority languages Theatr Gwalia presents Inheriting The Gods by Carmen Stephens about a relationship between a young man from the Wampanoag tribe and a young Welsh Woman and is touring Feb 26-March 24. 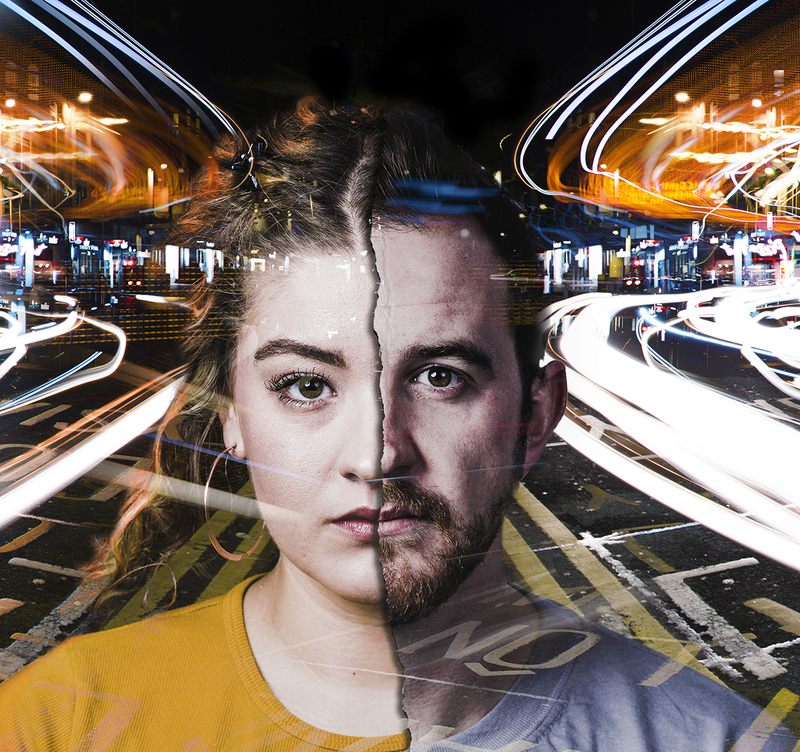 The amazing Dirty Protest celebrate their tenth birthday with Mark Williams’ play Lightspeed from Pembroke Dock (Touring 4 April-5 May). I hear that Mercury, Neontopia and Triongl are preparing exciting things and I hope Na’Nog will revive Nye and Jennie as I missed it at the Metropole in Abertillery, and who knows what delicacies the Eisteddfod will bring when it comes to Cardiff in August! 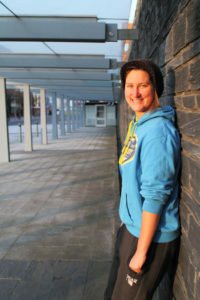 I have writing and performing projects with Theatr Genedlaethol, Na’Nog, RCT Theatres and Canoe and I really hope my one woman show about Rachel Roberts (in Welsh) will happen this year! 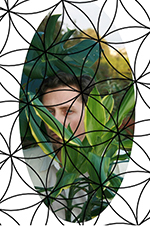 Jordan Brookes Body Of Work at Chapter on 2 June. I saw this show in Edinburgh, and Jordan was nominated for the 2017 Last Minute.Com Edinburgh Comedy Award for best show. That’s what the Perrier Award is now called, so it’s a pretty big deal and this was a pretty awesome show. It was one of the best comedy shows I saw in Edinburgh last year when Dirty Protest was there with Sugar Baby. I love Jordan’s comedy – I first saw him when he was living in Cardiff a few years ago and it was fantastic to see his work get the recognition he deserves. He’s on the performance art-end of comedy (but without being up its arse) and he’s one of my favourite weirdos. Also, I really cannot wait for Split Britches’ Unexploded Ordances at the Wales Millenium Centre for a week this March. Peggy Shaw is a world renowned artist and I saw her show with Clod Ensemble Must: The Inside Story ten years ago at the Edinburgh Fringe. It made an impact on me then as she transfixed a Victorian anatomy theatre with a raw story full of poetry and heart and pain and medicine and art. 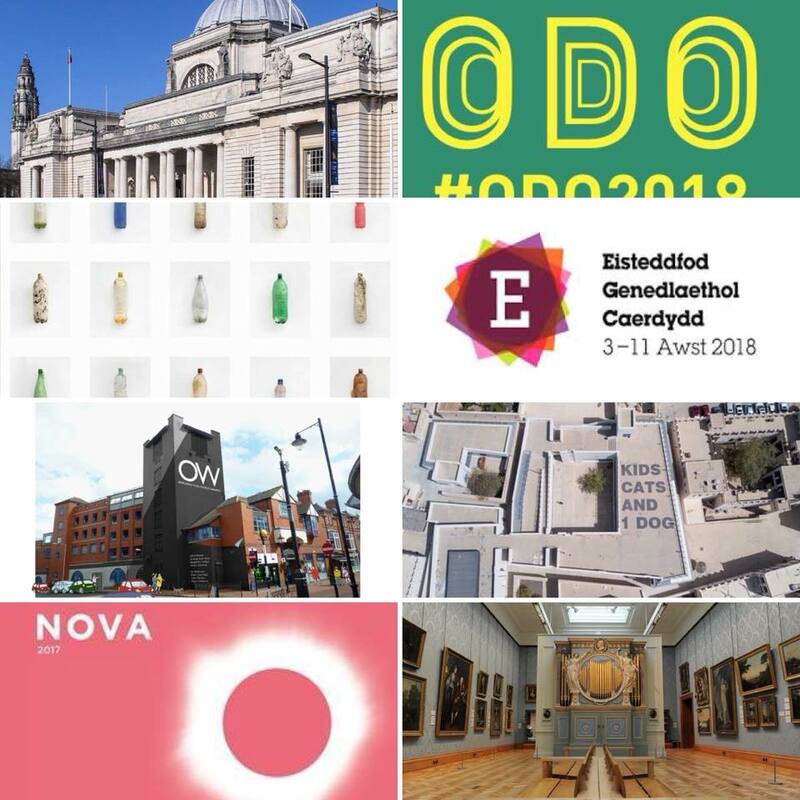 It’s a real privilege for us to see artists of this calibre creating original work in Wales and this experience will be a must see, or rather as it’s interactive art: a “must do”. 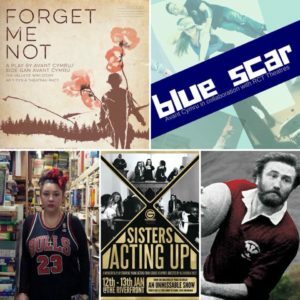 In 2018 Avant Cymru are planning a busy year with Forget Me Not in January and Blue Scar in the summer. We are working with Rufus Mufasa on her album launch on the 16th of January. 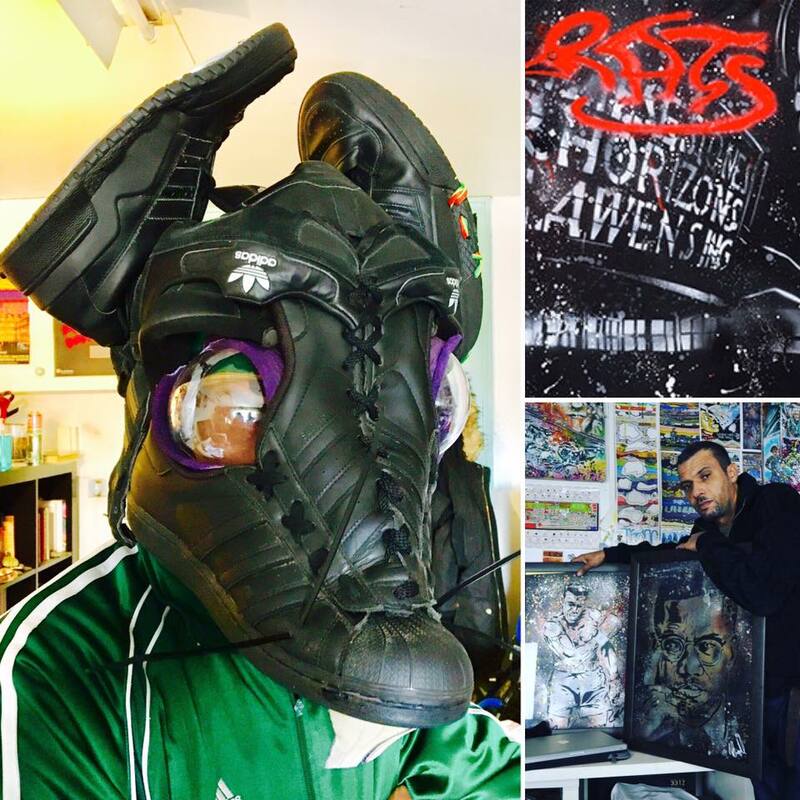 Looking forward to working with Rufus and Unity further on Welsh Hip Hop projects. 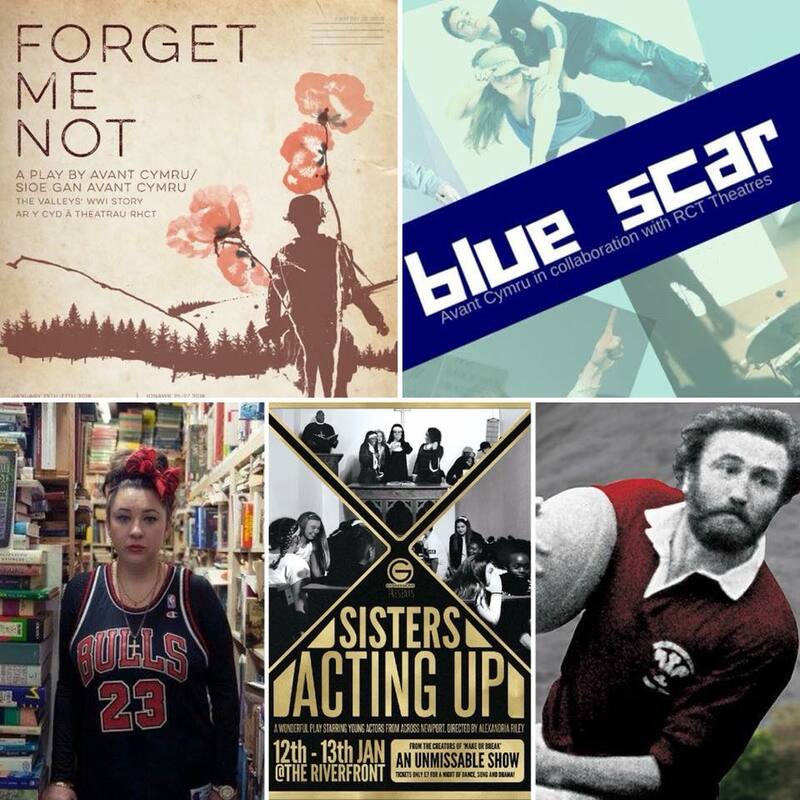 We are also excited to see Sisters Acting Up at the Riverfront this month and Grav at the Sherman Theatre in February. 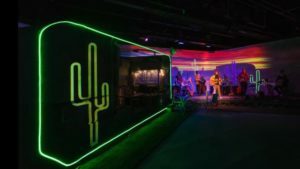 We are really excited that NTW have launched their new creative development strands, we also are excited to see ehat the NH70 project has to offer. 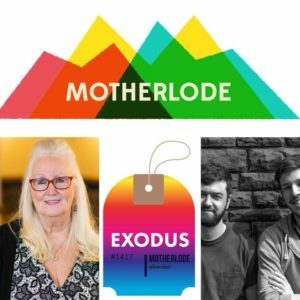 So much is happening in Wales and we are excited to be a part of it. Bring on 2018! Coming up in a few weeks at the Sherman. Connor McPherson, killer cast and directed by Matthew Xia. Come on, what more d’you want? I’m really excited to see what Dan Jones will do now that he’s at the helm of The Other Room. This will be his first production as AD, and it’s a chance to see how he’s going to put his mark on that ambitious company. 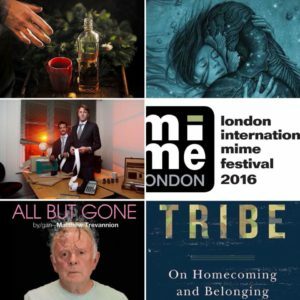 Literally anything that’s on in London International Mime Festival, 10 Jan – 3 Feb, which for my money os one of the best times of year for theatre (don’t be put off by notions of striped t-shirts and glass boxes). Particularly looking forward to Trygve Wakenshaw’s Different Party. Guillermo del Toro’s latest film gets its UK release in February, and I’m looking forward to his particular mix of strangeness. Set to the bleak backdrop of 1960’s Baltimore, it’s apparently a love story between a mute woman and a water god. Yes please. I’m looking forward to the Cardiff Kids Literature Festival in April this year. There will be loads of events going on and it’s a great chance to meet authors and illustrators and inspire children to pick up a book. I am super excited that a book I’ve written for 6 – 8 year olds will be published in September too. It’s called ‘The Sea House’ and I’m really hoping children will love all the characters, particularly my favourite – a brave, sparkly little fish called Fabulous! You might have seen my crestfallen face captured on the news when it was announced that Swansea didn’t win the UK City of Culture crown for 2021? Perhaps if we’d gone with the abbreviated SUKCOC ( Swansea UK City Of Culture ) it might have been a different story?I really did think that it was Swansea’s time to shine and to quote the city’s very own big haired 80’s pop icon … we could have turned it around . However there are still exciting plans afoot and one that is very close to my heart is still under wraps till the end of January but I want to mention it as it’s certainly something that I’m really looking forward to getting my teeth into in 2018. 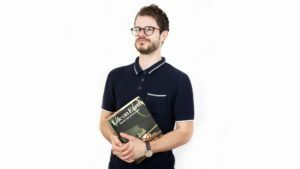 Essentially it’s an immersive Requiem that will kickstart the Swansea International Festival 2018 – written by a twice Oscar nominated composer with a libretto by a BAFTA Cymru winning writer, sung by a world renowned choir and with a wrap around narrative led by the formidable force that is Eddie Ladd. Watch this camouflaged space. For 2018 I’m very much looking forward to hearing more cultural stories being told by people of a diverse background. Great things are happening already but there’s still such a way to go. 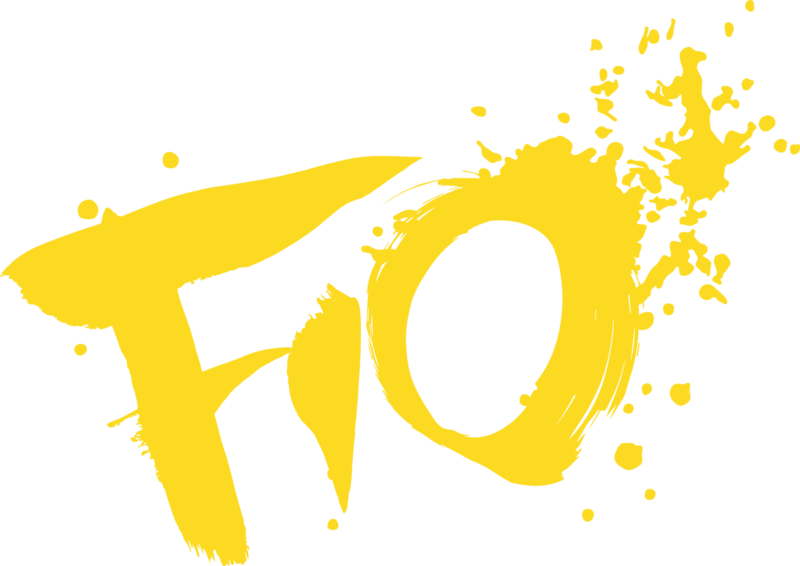 ‘Fio’ are doing some amazing work right now providing opportunities for BAME actors, writers and directors to showcase work and are providing a great accessible outlet. I’m involved in TWO amazing plays with full diverse teams this year. One of them which tells a story from voices we don’t often hear from. I am working with phenomenal actors all from diverse backgrounds and I cannot wait! The plays are wonderful and I’m really honoured to be a part of it all! The theatres we are performing in are equally brilliant! Wales is a place of character, diversity and rich culture. So I look forward to us continuing to move forward within the arts and really show what we are made of. 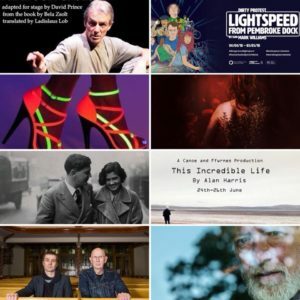 I’m very much looking forward to Light Speed from Pembroke Dock, a family friendly and Star Wars friendly theatre show from Dirty Protest as part of their 10th anniversary. I have been lucky enough to have a few pieces perfomed by them and their stalwart crew and have a soft spot in my heart for all involved. 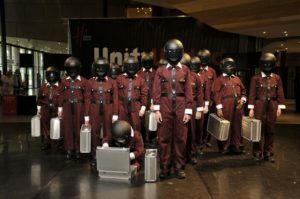 I also saw an Rand D of the show and it touched a nostalgic string in my heart, it being about fathers and sons and a certain sic-fi film – essentially a taste of my youth. I’m also looking forward to films coming out in February The Shape of Water Guillermo Del Toro’s new fantasy masterpiece about a love affair between a woman and a Black Lagoon-esque creature in Cold War America. I’m a great fan of Del Toro, especially Pan’s Labyrinth, and this ranks right up there next to them. Also in February Lady Bird is a film from Greta Gerwig, a fantastic indie actress making her directorial debut with a well observed coming of age talk between a mother and a daughter starring Saoirse Ronan and Laurie Metcalf. 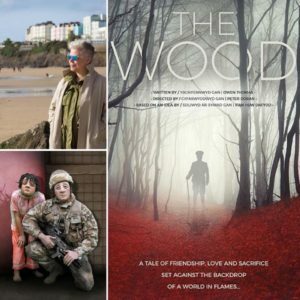 Looking forward to The Dublin Carol at The Sherman and The Wood from Owen Thomas about Mametz, my play The White Feather also about World War One is being restaged by Theatr na nÓg in the Autumn so I’m obviously and selfishly excited about that too. 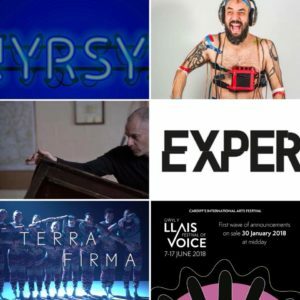 There are many more things to get excited about of course, here’s hoping 2018 provides an exciting buzzy year for theatre and the arts throughout Wales. I’m very much looking forward to a bumper year of culture in 2018. 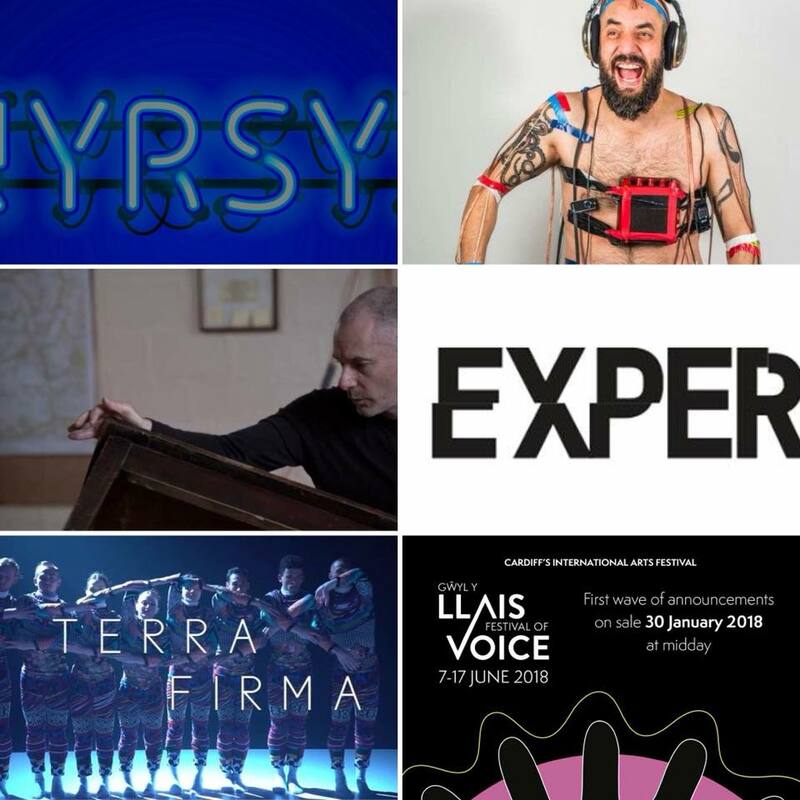 Many people interested in the arts in Wales will already be filling up their diaries. One of the events I’m especially looking forward to is the National Eisteddfod (3-11 August, Cardiff), as it takes place this year right outside my office window in Cardiff Bay. For the first time in decades, the “Maes” (the festival site) will not be held in a field, and visitors will be able to come in and out as they chose, paying for each event individually. 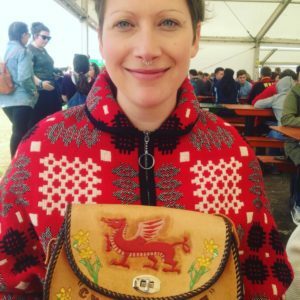 The “no-fence” Eisteddfod offers exciting opportunities to try out new activities, appealing to a wide range of audiences and celebrating the best of Welsh culture in all its forms. For a relatively small country, Wales punches well above its weight in terms of literature festivals. 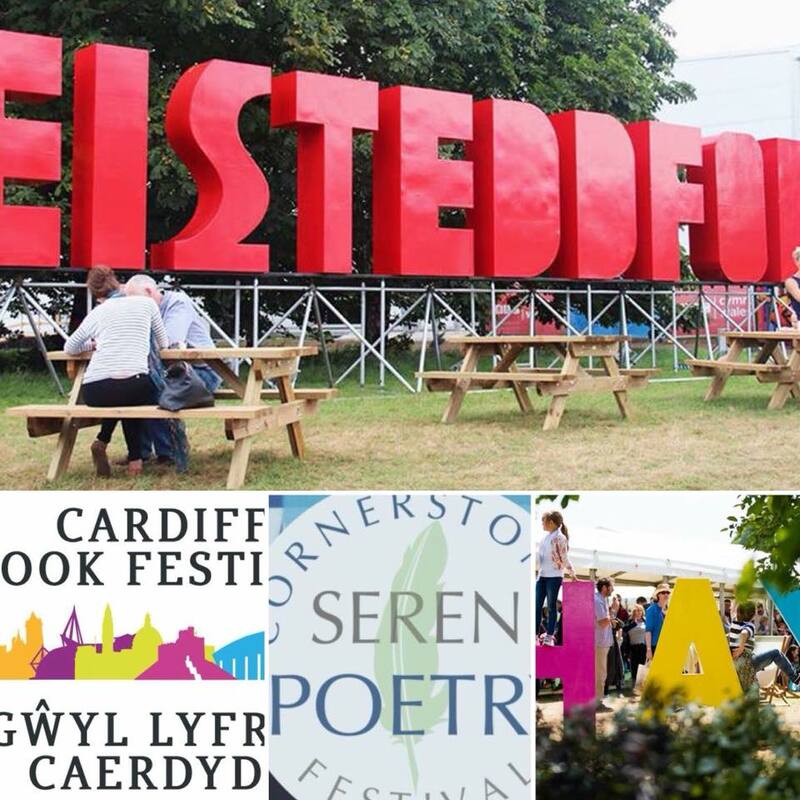 As well as the world-renowned Hay Festival (24 May – 3 June), many more have appeared in recent years, including the excellent Cardiff Children’s Literature Festival (21-29 April) and the Cardiff Book Festival (7-9 September 2018). 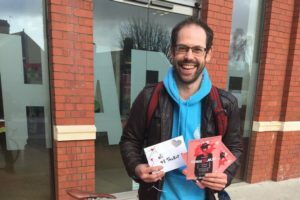 I’m particularly looking forward to the newest addition to the calendar, the Seren Poetry Festival at the Cornerstone building in Cardiff (16-18 February). 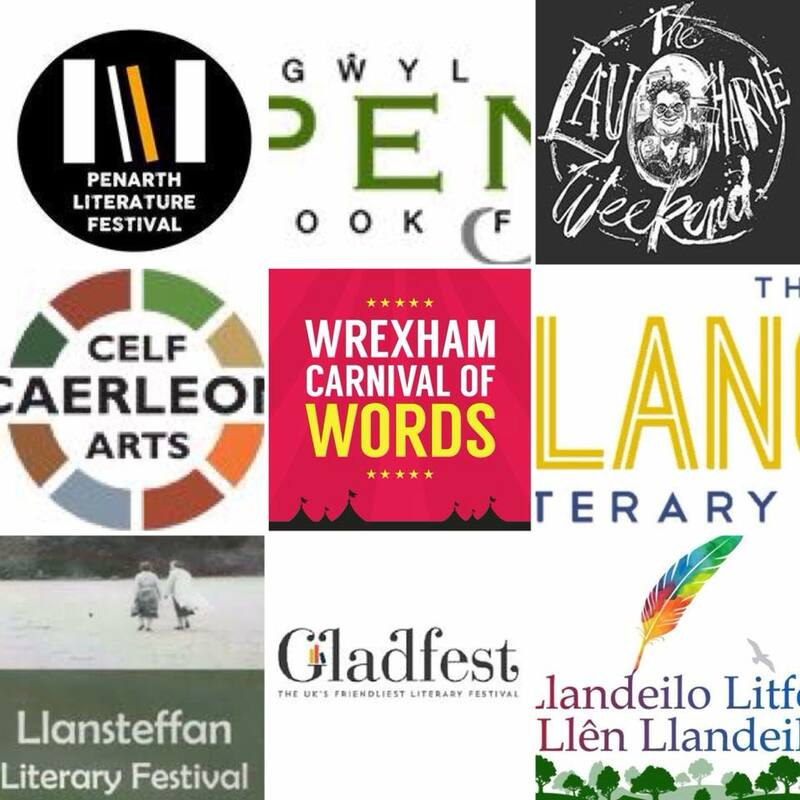 But there’s plenty to do outside the Capital, and throughout the year you’ll find literature festivals in Laugharne (6-8 April), Llandeilo (27-29 April), Wrexham (Carnival of Words 21-28 April), Llansteffan (7-10 June), Caernarfon (Gŵyl Arall – July), Penarth (July), Caerleon (Lit on the Lawn – July), Hawarden (Gladfest – September) and Cardigan (Gŵyl y Cynhaeaf – October) – to name but a few! 2018 also sees the return and 25th anniversary of the Beyond the Border Storytelling Festival. 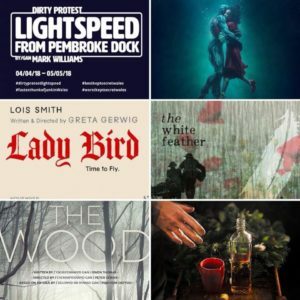 Pembrokeshire should take the prize for being the most bountiful county, with literature festivals in Solva (The Edge Festival – 2-5 August), Llangwm (10-12 August) and Rhosygilwen (PENfro Book Festival – September). These festivals would not take place without the dedicated efforts of community activists who believe in bringing people together and sharing a love for words. And the success of many depend on their brilliant local independent book shops. If your dream is to take part in one of these festivals as a featured writer one day, then you should consider booking on one of the courses at Tŷ Newydd Writing Centre: www.tynewydd.wales. 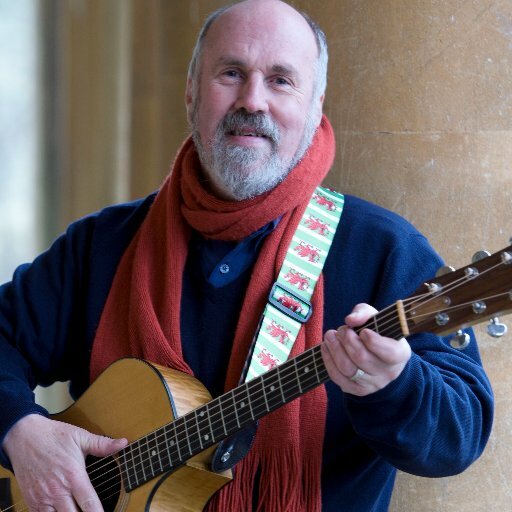 The many highlights include a Creative Writing for Welsh Learners course (16-18 March with Bethan Gwanas and Eilir Jones), Songs and Lyric Writing (9-14 April with Willy Russell and Stewart Henderson), Poetry: Writing about Life (20-25 August with Lemn Sissay, Sophie McKeand and Zoë Skoulding) and Writing a Novel (24-28 September with Louise de Bernière and Wales Book of the Year winner Alys Conran). There is something for everyone this year at this very special place. I’m looking forward to seeing the completion of the epic 50ft mural by artist Pete Fowler on the iconic Water Tower at Cardiff Central Station. Inspired by the stories of the Mabinogi, the mural is part of the Weird and Wonderful Wales project by Literature Wales and Cadw. The work began before Christmas, but was suspended because of bad weather. The work will continue soon and remain in place throughout 2018, when visitors from all across the globe will see it when they visit Cardiff for events such as the Volvo Ocean Race as part of Year of the Sea. The Wales Book of the Year award is set to be another great event this year, with the ceremony scheduled to take place in the summer. Announcements will be made in March – so keep an eye out on Literature Wales’ website for details. In the meantime, I was thrilled to see that last year’s winner Pigeon (Parthian Books) by Alys Conran, is being serialised in the Western Mail. Also, the Roland Mathias Poetry Evening will take place on 23 February at The Muse, Brecon, featuring John Freeman, winner of last year’s Wales Book of the Year Roland Mathias Poetry Award, with Jonathan Edwards chairing the event. 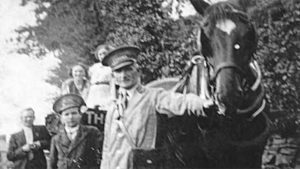 Last year the National Poet of Wales, Ifor ap Glyn, with funding from Welsh Government and support by Cymru’n Cofio Wales Remembers (1914-1918), created and toured a multi-lingual multi-media show on poet Hedd Wyn called Y Gadair Wag/ The Empty Chair, directed by Ian Rowlands. It premiered at Yr Ysgwrn, the poet’s home at Trawsfynydd which recently opened as a visitor’s centre. By popular demand, the hope is to tour more extensively in 2018, taking in locations throughout Wales, as well as the UK and Ireland. 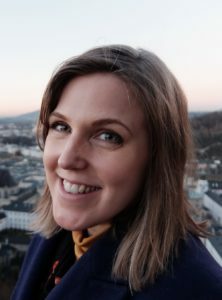 2018 will see the announcement by Literature Wales of a new Young People’s Laureate, as Sophie McKeand’s hugely successful two-year stint comes to an end in spring. 2018 marks 70 years since the creation of the NHS, which was established by the great Welsh politician and orator Aneurin Bevan. 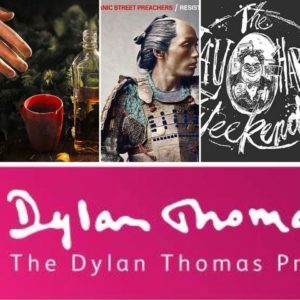 It’s worth keeping an eye out for cultural celebrations of this significant milestone, including a series of productions throughout Wales by the two national theatre companies, Theatr Genedlaethol Cymru and National Theatre Wales. In other art-forms, I’m looking forward to the return of Festival of the Voice to the Wales Millennium Centre (7-17 June), the Urdd Eisteddfod celebration of youth culture at Builth Wells (28 May – 2 June), the Swansea International Festival (October 2018) and the international art prize Artes Mundi at National Museum Wales (from 27 October). 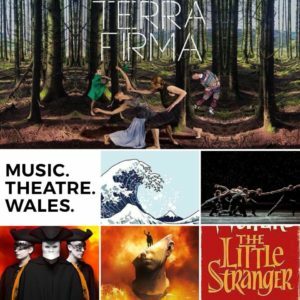 National Dance Company Wales’ Terra Firma tour takes place in Spring and will be well worth a look. Last year I very much enjoyed the collaborative concerts between the orchestras of WNO and BBC NOW, and I hope to catch a few this year as well. I can also highly recommend Rungano Nyoni’s debut award-winning film funded by Ffilm Cymru Wales, I Am Not A Witch, which will be out on DVD in February. Like many others, I was very disappointed that Wales missed out on qualifying for the 2018 FIFA World Cup, having enjoyed myself immensely in France in 2016. However, this year I can kick back, enjoy the games relatively stress-free, and pick a couple of nice countries to support. Come on Iceland! 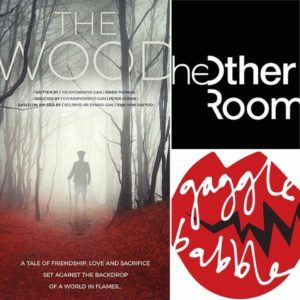 I’m really looking forward to watching Owen Thomas’ new play, The Wood by The Torch Theatre. The Wood is inspired by a true story and commemorates the centenary of World War I. Yes, I can’t wait for that one. 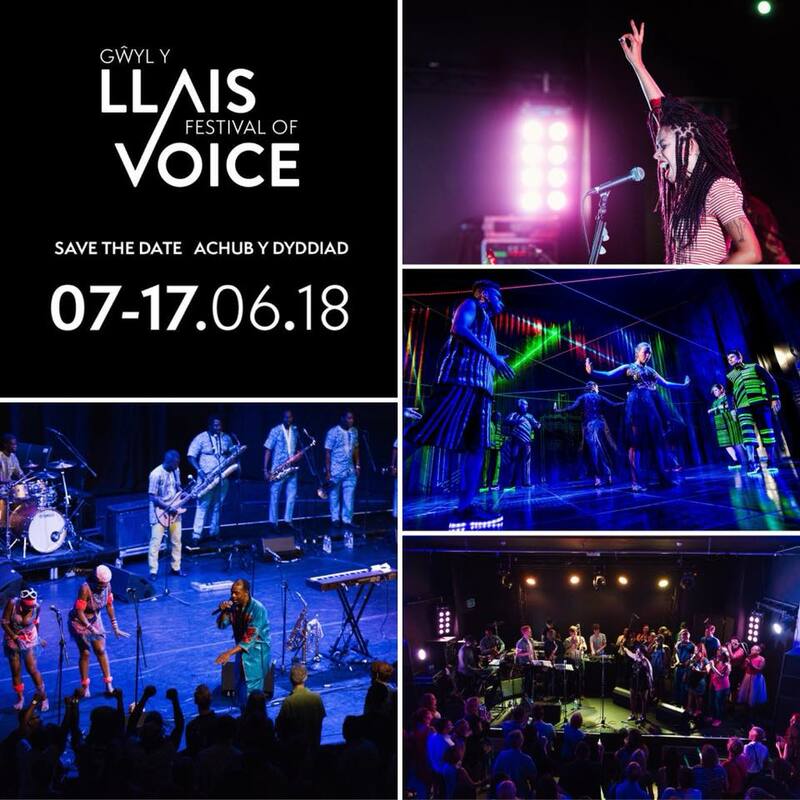 Another highlight has to be the Festival of Voice between 7th June and 17th June, at locations around Cardiff, created by the Wales Millennium Centre. I really want to try and get down to The Other Room this year because there’s nothing else like it in Cardiff. And anything by Gagglebabble is always fantastic! Then personally first of all, I hope I have a happy, healthy and fun year with my two boys and girlfriend. Second, I hope York City FC find promotion to the National League, the first step back to the football league. And last, I hope to record lots of funny little anecdotes from my two boys and write a children’s story inspired by their unique craziness! Thinking ahead to what 2018 has in store is at once terrifying and overwhelmingly exciting. This year is set to be full on, but hugely inspiring year for us at the Centre. 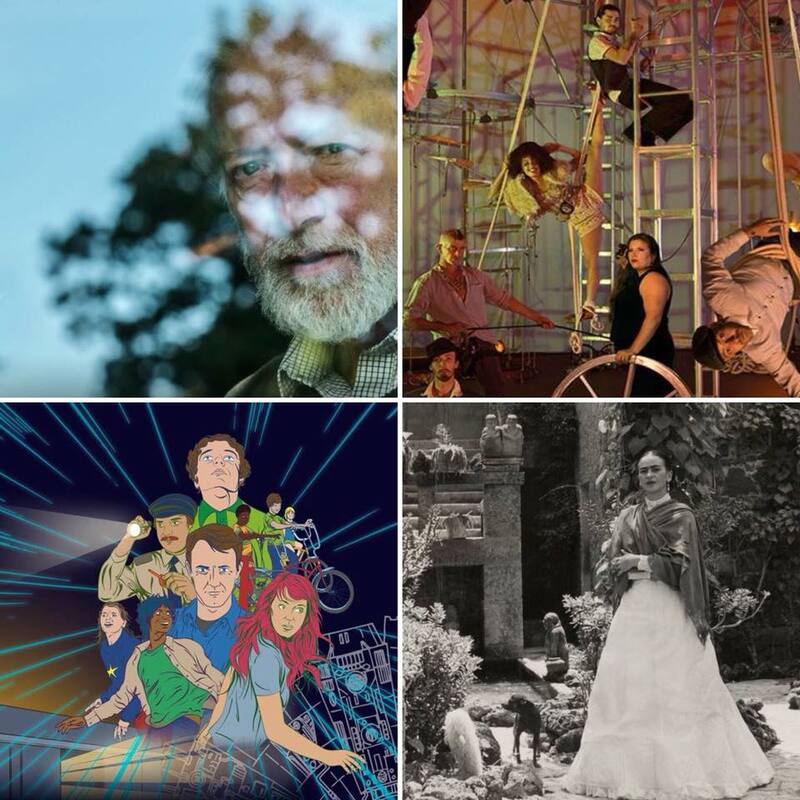 With the launch of two new seasons of programmed work in the Weston Studio and ffresh alongside the return of our biannual international arts festival, Festival of Voice. 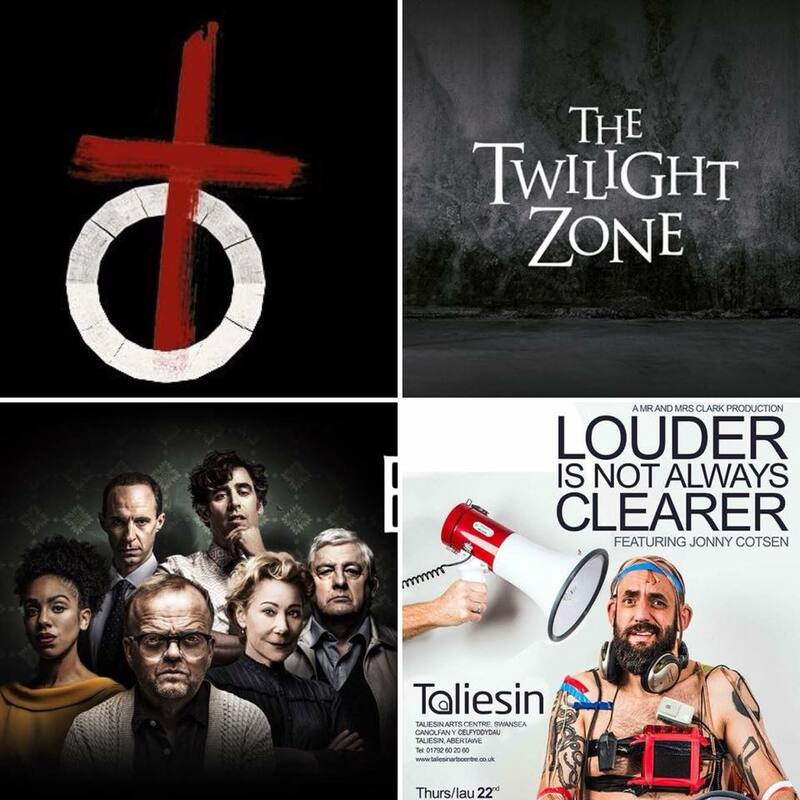 This year, we’re creating a number of co-productions with some incredible Welsh artists and companies and I’m really proud to be part of the team helping to make them happen. As Cardiff embraces it’s title of Music City, the in-house Festival of Voice team have created a programme of work that really celebrates voice in all it’s guises and alongside an ambitious Creative Learning programme allows us to explore the positive impact of collective singing and creative expression. With just six months to go, I can’t wait for what this year’s festival has in store. Personally, I’m looking forward to many more adventures in 2018 with plans to travel to New Zealand and Canada, see my best friend get married and all being well, get back out on the road and finally get a half marathon under my belt- fingers crossed. First up is to see the genius choreographer Matthew Bourne’s Cinderella at Wales Millennium Centre in April, he is without doubt the best storyteller you will see in any medium – IMHO. The second show for me will be the hugely ambitious adaptation of Patrick Ness’s award-winning children’s novel A Monster Calls which will be brought to life at the Bristol Old Vic (31 May – 16 June) by the incredible talented director Sally Cookson. The film broke my heart, so I cannot wait to see it live on stage. Then the show I will definitely want to see before it heads off to New York, because I missed it the first couple of times round is Grav, an amazing achievement for a theatre company in far west Wales – The Torch to get it to the stage in New York after sell out shows here in Wales and Edinburgh. Congratulations to the creative team for taking a true Welsh hero and exporting it far and wide. Even though I hate overhyped shows, I must see Hamilton this year. I think the story is incredible and an important one to hear and see in this strange uncertain time. – even though he did the music to Moana! There will also be a Suffragette exhibition at Swansea Museum to celebrate 100 years of the Women getting to vote. So much has been accomplished and also so much more work to do. I also hear that Fleetwood Mac are going to tour this year specially for my birthday, so be rude not to! The play I’m most looking forward to in 2018 is John by Annie Baker, in a new production at the National Theatre. Annie is probably our greatest living dramatist. She writes with a delicacy and a humanity that make Checkhov look positively cartoonish. Her plays The Flick and Circle Mirror Transformation are amongst my favourite evenings in the theatre, and James McDonald (who directed Circle Mirror Transformation) is directing John, which makes it doubly exciting. I can’t tell you anything about what the play’s about. There is so much to look forward to in 2018. 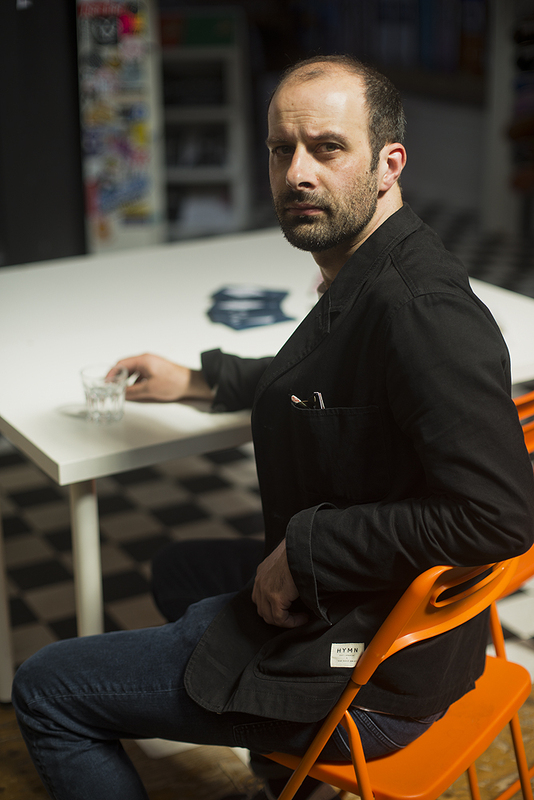 I cannot wait to see Jonny Cotsen’s ‘Louder is Not Always Clearer’, it’s so important to see diverse stories on the stage and, as someone who has been involved with the Deaf community for a number of years, I’m very excited by it. I’m also looking forward to the drag acts coming to Cardiff this year, especially Klub Kids’ ‘The Twisted Circus’, which I shall be fangirling all over! My personal hope for 2018 is that as an industry we work together to continue to diversify our audiences, sharing ideas and good practice is key. Be brave, take risks, learn and grow. 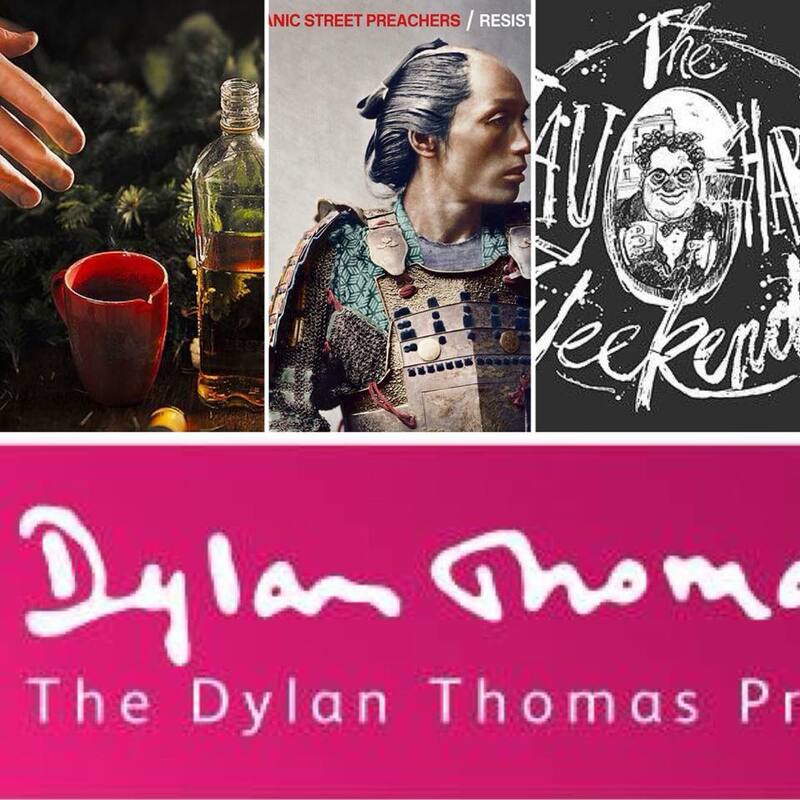 I’m really looking forward to seeing Dublin Carol at the Sherman studio in early February and also The Laugharne Weekend in early April and obviously I’m very excited about the new Manics’ album, Resistance is Futile, due in April. I’m one of the judges for the International Dylan Thomas Prize this year so I’m looking forward to reading lots of new fiction. More personally I hope to make some good progress on the house I’ve been trying to build for almost two years so that I get a functional writing space back by the end of the year! 2018 looks set to be an exciting year. Currently I’m looking forward to two exciting pieces in Wales. Jonny Cotsen’s Louder Is Not Always Clearer – I went to an early sharing and so it will be fascinating to see how it has developed. Also Kaite O’Reilly, Sara Beer and Philip Zarrilli’s collaboration richard III redux [or] ‘Sara Beer [is/not] richard III’ – it sounds as though it will be the most amazing piece performed by one of Wales’ finest actors. 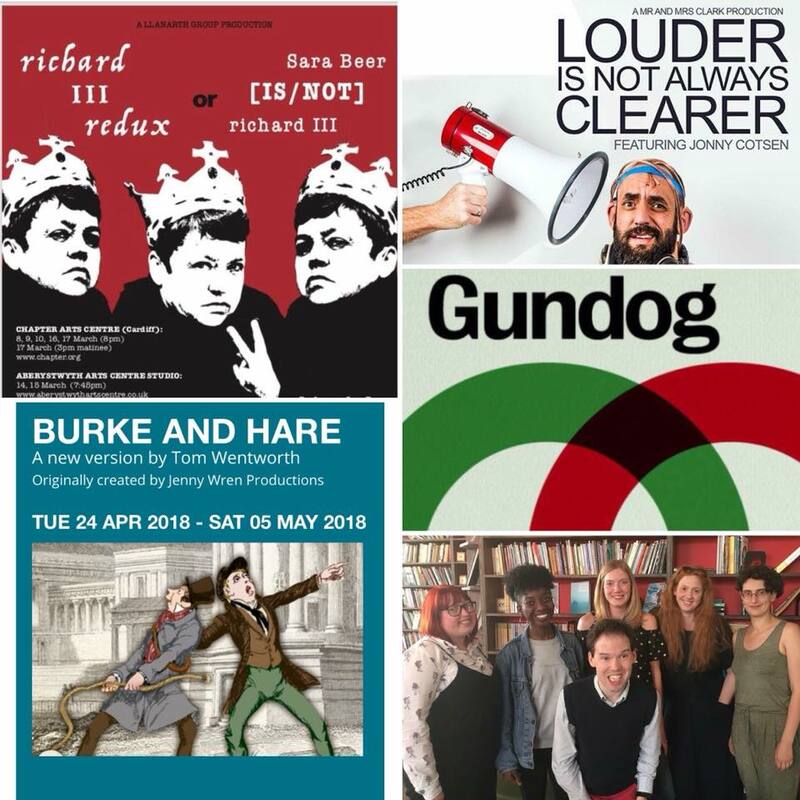 Further afield I can’t wait for Simon Longman’s Gundog at the Royal Court. Simon was my mentor and has become a friend so it’s especially exciting to see his work on a big stage. I’m sat at my desk at The Royal Exchange Theatre and there’s so much that I’m looking forward to this year. Being Resident Assistant Director in this amazing building is opening up many great opportunities for me. My highlights are Frankenstein directed by Matthew Xia. 200 years after its publication in January 2018 Matthew is directing a new version by April De Angelis – a writer whose work I enjoy. (Playhouse Creatures is brilliant) Being assistant director on this show I am already in the depths of research and know that the cast is going to truly bring the story to life on our stage. I’m also looking forward to working with the Young Company up here on their production of Mix Tape. 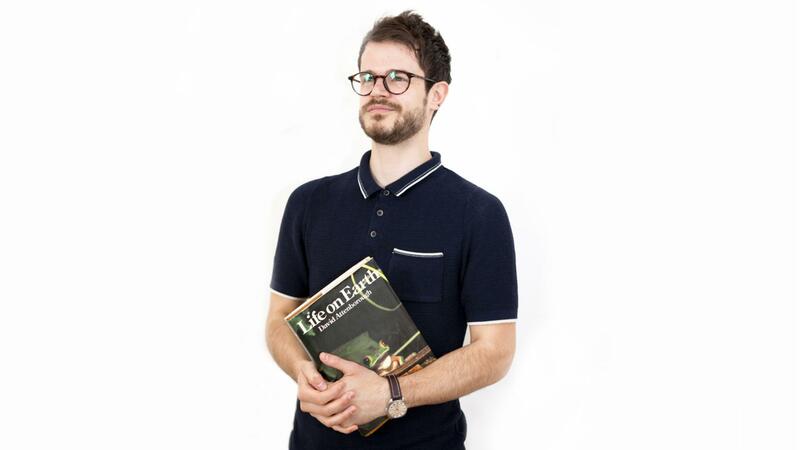 Working closely with Matt Hassall – Programme Leader for the Young Company and composer James Frewer, Manchester will be given its own mix tape. In the summer I can’t wait to be my alter ego Beryl as I tour a handful of festivals with Bingo Lingo alongside my co-star Daryl and his alter ego Cyril. It’s Bingo on a Paralympic Scale. The Without Walls festivals are an absolute joy to be at and to discover new work. For me 2018 will be one of exciting creative work indoors at the theatre and a summer of amazing interactive playful outdoor work. 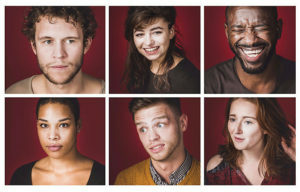 And Deaf actor Nadia Nadarajah being part of the new ensemble company at the Globe. Hopefully we’ll see more Deaf and Disabled creatives leading the way. I’m really looking forward to making some work across England and Wales this year. I’m starting with Dublin Carol – the Conor McPherson play about an alcoholic Undertaker being confronted with the life he has lived, and the others he has broken. It’s playing at Sherman Theatre in Cardiff from the 5th of February for two weeks. 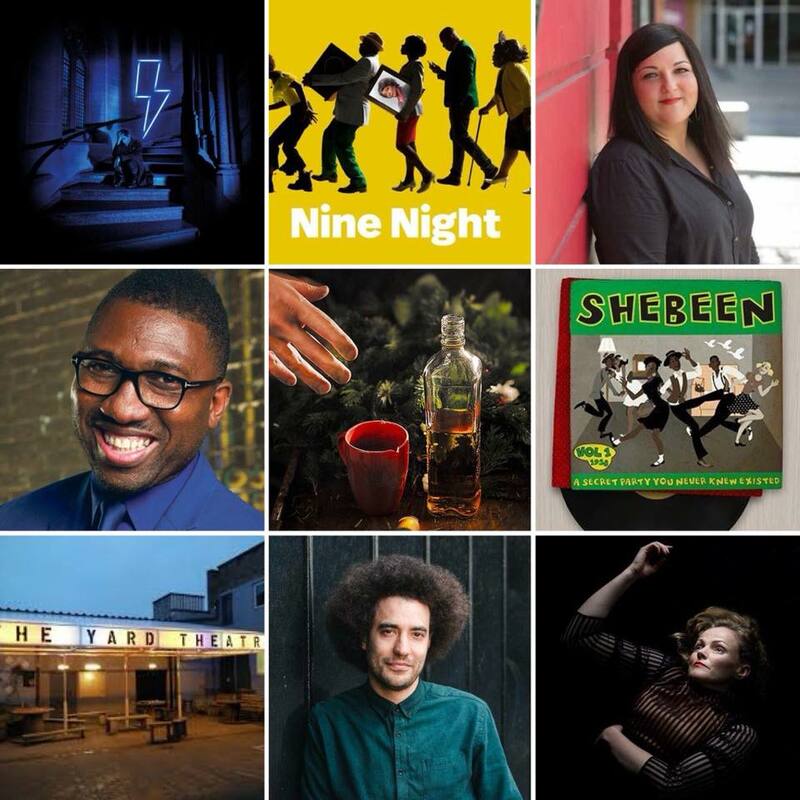 I then head up to the Manchester Royal Exchange to make a brand new Frankenstein adapted for the stage by April de’Angelis before directing the premier of the Alfred Fagon Award winning play Shebeen by Nottingham writer Mufaro Makubika. 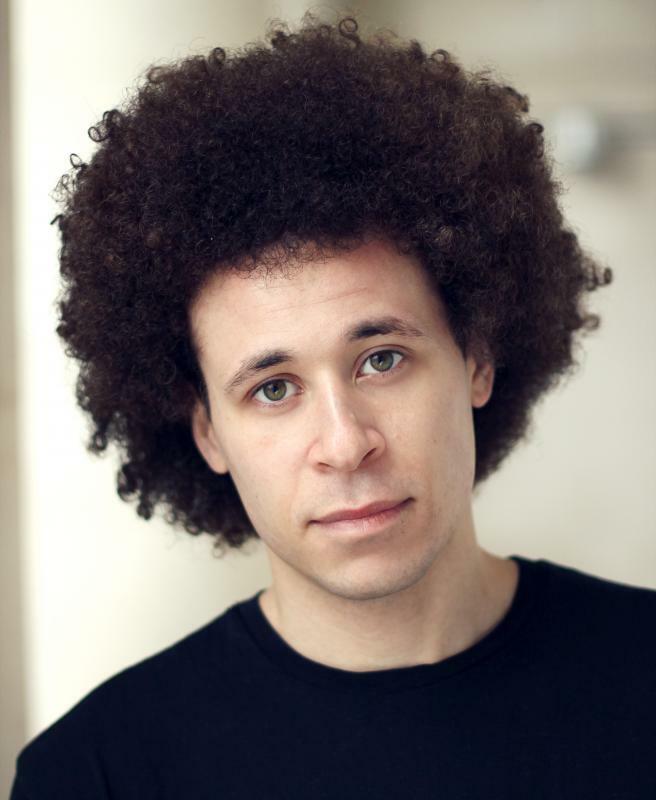 The show, starring Karl Collins will be presented at the Nottingham Playhouse and Theatre Royal Stratford East in June. As far as things on my radar this year I’m of course hoping to catch Hamilton at some point – although not at those prices. 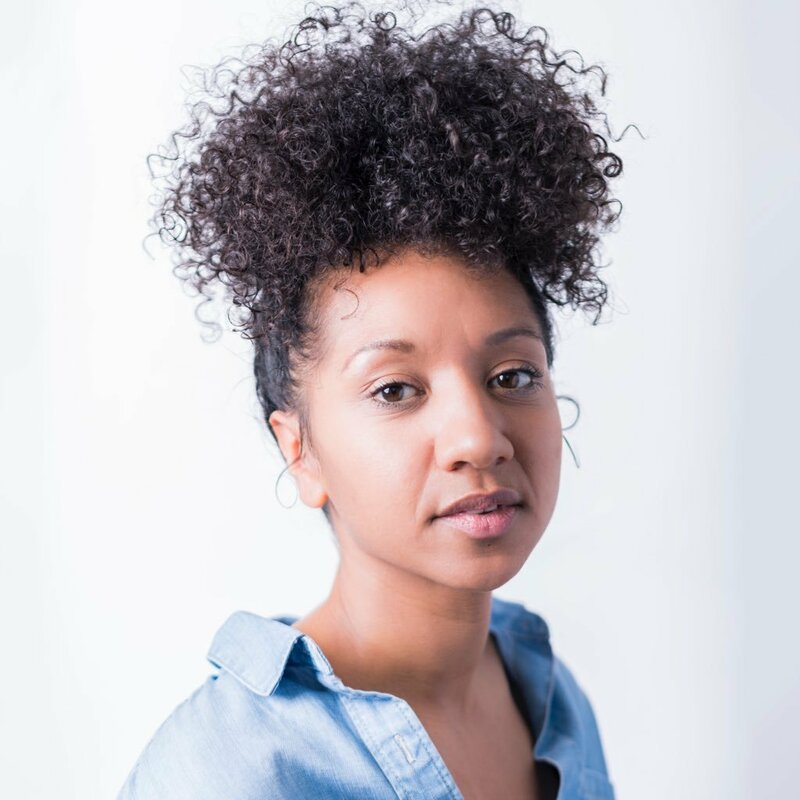 I’m hugely excited to see what seasons of work are presented by the new Artistic Directors including Kwame Kwei-Amah at the Young Vic , Nadia Fall at Stratford East and Justin Audibert at the Unicorn. 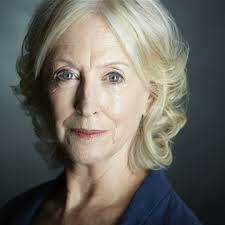 I’m very excited to see Maxine Peak play Winnie in Happy Days directed by one of my favourite directors and humans, Sarah Frankcom at the Manchester Royal Exchange. I’m also thrilled that Roy Alexander Weise is presenting work at the National with Nine Nights. Other theatres worth keeping an eye on include The Yard and The Bush. My hopes for the year are simple – let’s try not to destroy the planet, let’s remain kind. For some of us this seems like an easy goal. 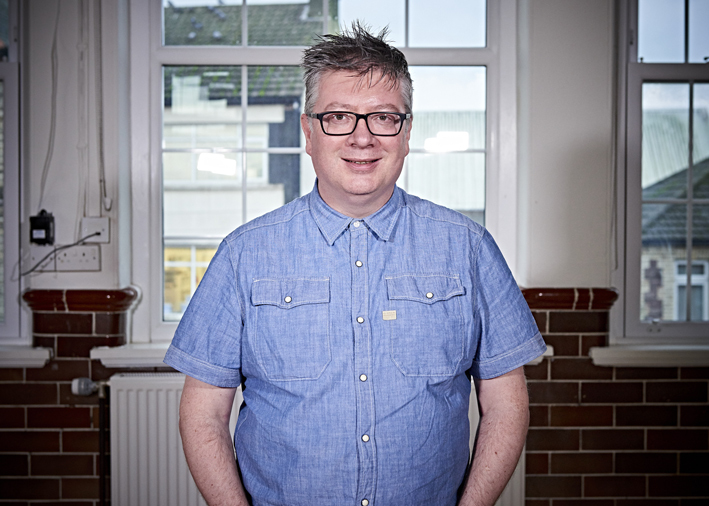 Get that Chance has interviewed a range of creatives from/or based in Wales in 2017. We caught up with some of them again recently to ask them for their own cultural highlight of 2017. If you click on the links below it will take you to an interview with each contributor. Being a part of Hijinx’s Unity Festival is a real buzz! Lots of international inclusive and accessible work taking over one public place is truly exciting. As an audience member I still remember event Killology at Sherman Theatre when Sion Young gestured at the end of Act 1. I nearly didn’t return for Act II, the power behind the movement still stays with me today. Very powerful acting and directing. On tour with Killer Cells, I sat opposite a woman at the end of one of the performances, her friend held her shoulders and we talked for an hour about her experience of loss and of having found out she too had a high level of UNK Killer Cells. 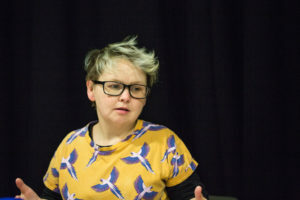 The opportunity to share and come together with another individual who had experienced loss in the same way as you had, was empowering for us both – theatre making us feel less isolated in society. Working with Ann Davies, who has been a community champion for years, who is now having her work (at the age of 65) performed for the first time in the public domain. 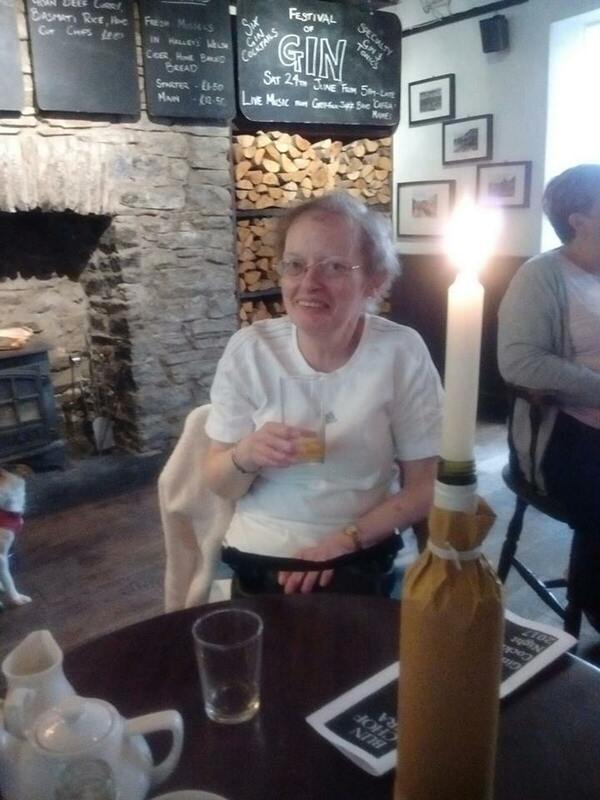 After years of being isolated as carer and after suffering at the hands of a dodgy home start building scheme, seeing her confidence grow and her feeling more confident, has been a happy result of collaboration. Well I’ve been on maternity leave most of the year so haven’t seen anything unfortunately but I’ve absolutely loved returning to work with such a wonderfully supportive creative team on Flossy and Boo, The Alternativity. I haven’t laughed so much during meetings or felt so at ease discussing concepts and ideas! My cultural highlight of 2017 was an exhibition in the National Museum of Wales, Cardiff, which I returned to many times. 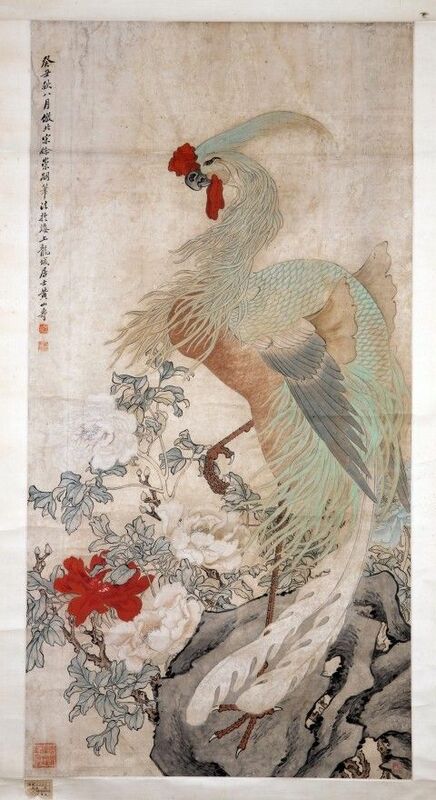 Displayed in a darkened room, Nature’s Song: Chinese Bird and Flower Painting, was a breathtaking collection of beautiful ink paintings. As an artist myself, with a regrettable tendency to overwork my drawings and get lost in details, I learned so much about the expressive and economical use of a single brush stroke: representing shimmering leaves and blades of grass, and evoking whole landscapes. I would have to go for the National Theatre’s productions of Angels in America. Firstly what a dream to see such an iconic piece of theatre in such a wonderful space. Secondly, the imagery Tony Kushner writes is spellbinding and how they staggering, breathtakingly captured these images was extraordinarily. How can you not like a piece of theatre which has this line written in it? ‘I don’t understand why I am not dead? When your heart breaks, you should die’. I’d like to mention the work of the Cardiff Fringe for continually producing accessible and exciting pieces of theatre for all. Also Omidaze theatres production/school workshops of Romeo & Juliet, bringing Shakespeare and politics into schools and making it fun and understandable for children of all ages. 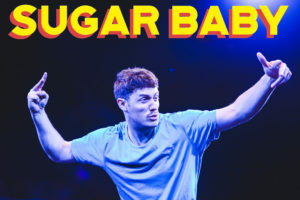 My cultural highlight was seeing Dirty Protests Sugar Baby at Summerhall Edinburgh. It was brilliant to experience a story so deeply rooted in Cardiff with people from all over the world. 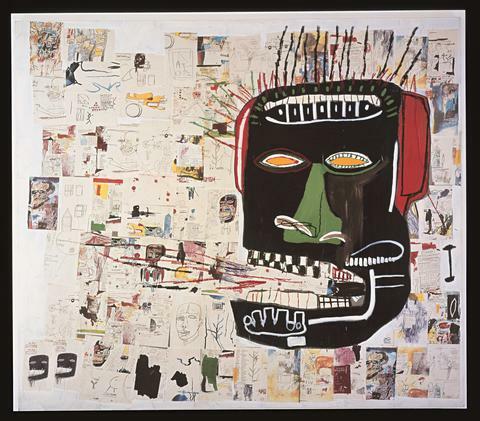 Poetic and profane, the Jean Michel Basqiuat retrospective at The Barbican stood out. Not only were we given insight into the man and the 80’s New York art scene, the paintings had room to speak for themselves. 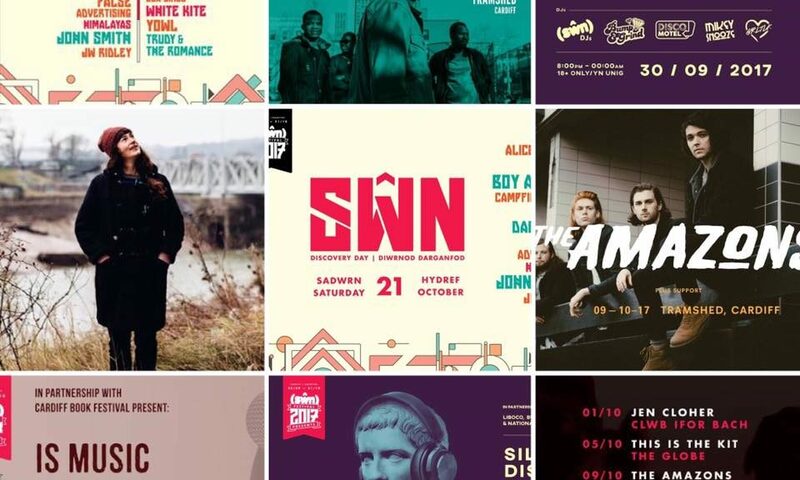 My professional cultural highlight (for work that I was involved in) was Disgo Distaw Owain Glyndwr Silent Disco by Light Ladd & Emberton – an entertaining and meaningful production which engaged hundreds of people, and has since been nominated for a tourism business innovation award. My personal cultural highlight was reading His Bloody Project by Graeme Macrae Burnet with CardiffRead – an absorbing and detailed book about a historical murder that built to an intense climax, through twists and turns, and at the end, left the reader as the judge… It was nominated for and should have won the Booker prize! Geoff Cripps, musician and board member Creu Cymru, Theatr na nÓg. To choose one personal cultural highlight when despite all else culture has delivered so many uplifting and joyous moments in my life is invidious but (and apologies to Celtic Connections Glasgow, Shrewsbury Folk Festival, Who’s Afraid of Virginia Woolf, Eliza Carthy & The Wayward Band, Girl from the North Country, Rhiannon Giddens, Black RATs’ One Man Two Guv’nors and Nye & Jennie) my singular choice has to be Theatr na nÓg’s “Eye of the Storm” at Taliesin Arts Centre Swansea last month. Inspirational, realistic, provocative and all delivered by a superbly talented cast bouncing off a superb script from Geinor Styles and a wonderful soundtrack penned by Amy Wadge. I maybe now the proud chair of that company but this would have made it anyway on merit! 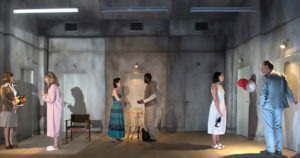 My cultural highlight for 2017 was Alice Birch’s Anatomy of a Suicide which played at London’s Royal Court – breathtaking in the way it dealt with a tricky subject matter with such heart and rigour as well as being formally inventive as three timelines play out simultaneously I both enjoyed the production at the time and have returned to it in my mind since. I hope that in 2018 I will write something half as good – the memory of it spurs me on. Rhiannon White, Director Common Wealth Theatre Company. My cultural highlight of 2017 was Tai Bach Panto in Port Talbot. 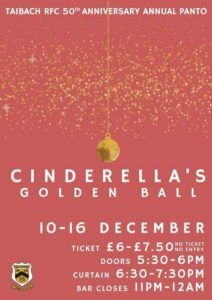 This year was Cinderella’s Golden Ball which marked the pantos 50th anniversary. Written, produced, directed and performed by a cast of mainly steelworkers (who work their socks off for the love of it!) It brings the town together for a good old knees up. 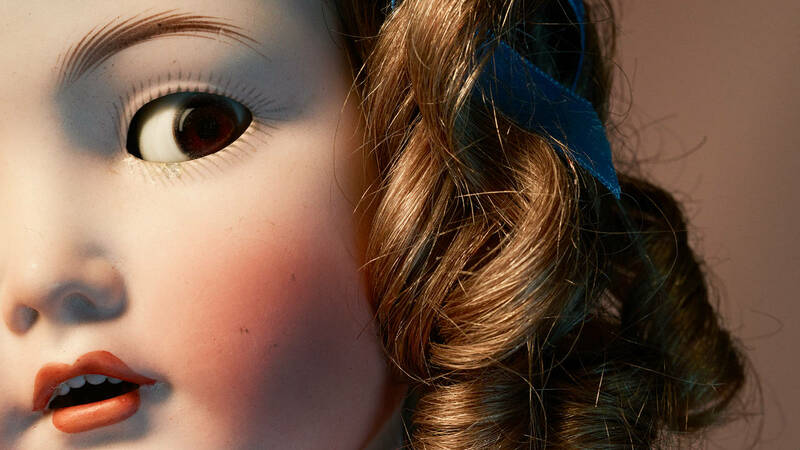 Debaucherous, anarchic and definitely not for kids – I laughed so hard my face hurt! Rebecca Hammond, actor, writer and Artistic Director of Chippy Lane Productions. Alex Griffin-Griffiths in Dirty Protest’s Sugar Baby by Alan Harris. 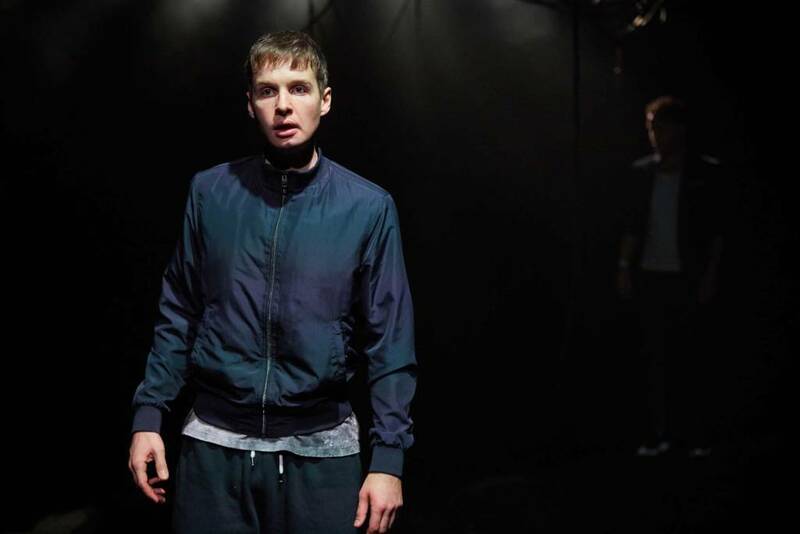 Sion Daniel Young in Killology directed by Rachel O’Riordan and written by Gary Owen at the Sherman. 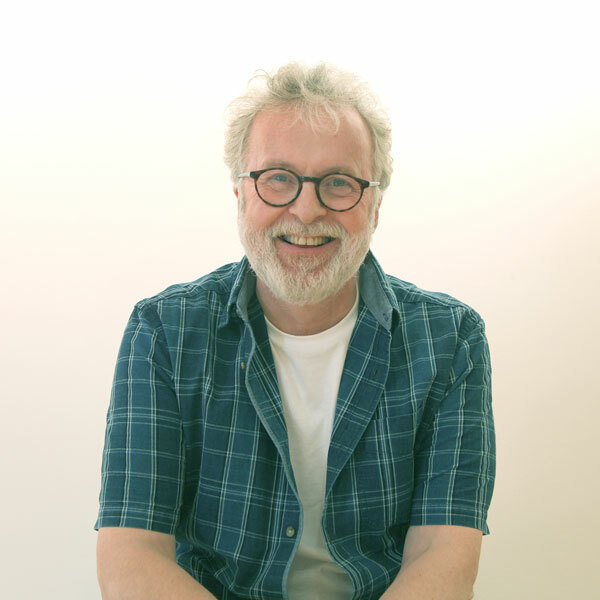 Lastly Seanmhair by Hywel John directed by Kate Wasserberg at The Other Room. My cultural/personal highlights of 2017 were 1) Seeing Anatomy of a Suicide at the Royal Court 2) Being invited onto the Emerging Writers Programme at The Bush and 3) Securing funding from Arts Council Wales to research the need for a Queer Arts Collective in Wales. 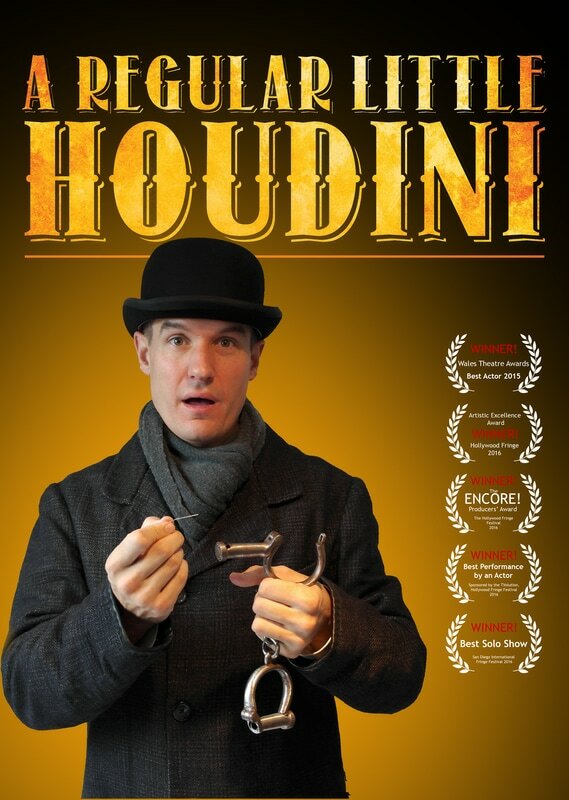 My cultural highlight of 2017 is A Regular Little Houdini by Flying Bridge Theatre. I saw it at Chapter in late January and it’s stayed with me all year. Resourceful and heartwarming. 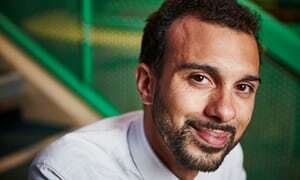 Kully Thiarai, Artistic Director, National Theatre Wales. My cultural highlight of 2017 has to be an extraordinary weekend spent in Hwacheon, South Korea, in September, where I was lucky enough to watch Welsh, Korean, Japanese and Indian artists collaborate with each other and the local community, as part of our Artists’ Playground residency. Seeing all these great artistic minds swapping ideas, trying new approaches, finding common ground and different perspectives – often despite real language barriers – was awe-inspiring. 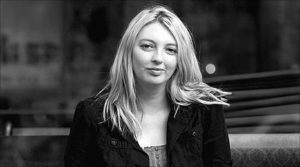 Elise Davison, Artistic Director of Taking Flight Theatre Company. 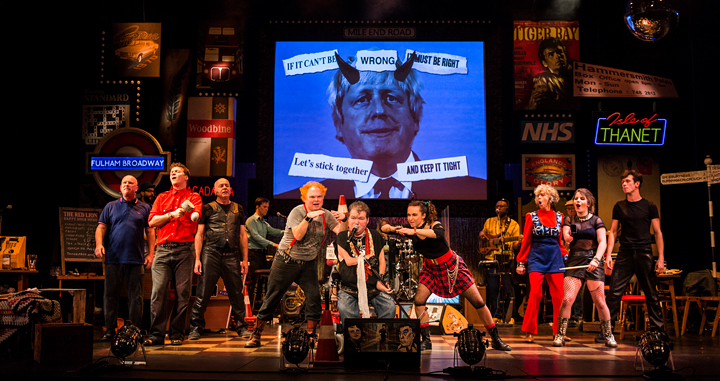 For me – Reasons to be Cheerful from Graeae – uplifting and deeply unashamedly political. Slava’s Snow Show – always stunning – always magical! And finishing on a high with the wonderful Likely Story’s The Giant Who Has No Heart in His Body. Oh and I also enjoyed Flossy and Boo’s Alternativity… great to see some strong female led work and wonderful to see so much clowning! I would have a special mention for Sugar Baby written by Alan Harris and produced by Dirty Protest at Edinburgh. Also the screening of Macbeth in cinemas by Theatr Genedlaethol Cymru and the screening of PARADE by National Dance Company Wales on BBC4 all rather rather special! My Welsh highlight was RATS, written and directed by Kyle Legall, a theatre production and director that isn’t afraid to break conventions. My national highlight was Barber Shop Chronicles at the National Theatre, an intelligent, energetic and beautifully written show. 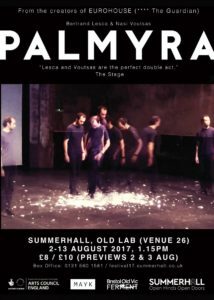 My cultural highlight for 2017 was PALMYRA at Summerhall during the Edinburgh Fringe. In turn both hilarious and arresting, witty and profound. We asked our team to choose their three cultural highlights of the year, along with a favourite event and/or organisation. Enjoy reading their individual responses below. Junkyard: A New Musical (Theatr Clwyd, Mold) Real, raw, inventive, inspiring; provoking and entertaining social commentary; one of the most original pieces of theatre I think I’ve come across this year, with an exceptional cast, script, and set design. A truly charming and inventive take on this well-known tale; a talented cast who brought the characters of Lewis Carroll’s beloved children’s classic to life in vivid detail; perfect family viewing; the standout show of Storyhouse’s opening season. Sean Bean was excellent as the passionate yet broken priest trying to make a difference in a Northern working-class community; as always from writer Jimmy McGovern, a piece which dealt with contemporary social issues in an engaging, challenging and no-nonsense way; a beautiful portrait of contemporary Christian faith. 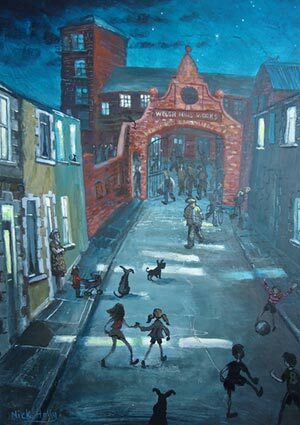 A wonderful addition to the North Wales/North West England arts scene. A stunning building with a beautiful theatre, modern cinema, integrated library, and plenty of communal spaces. An arts space that is truly for the community, that is already making a positive impact on the city and its people through various projects, shows and initiatives. Hamlet. Andrew Scott gave what I can only described as an Irish Hamlet, sad, bittersweet and quietly morose. He sees the humour through the madness and the sorrow, yet his heartbreak was always just behind his eyes. Like some romantic hero of legend, dark and brooding, he used this masterfully to make us care for the Dane all the more. The setting was modern, innovative and intriguing. 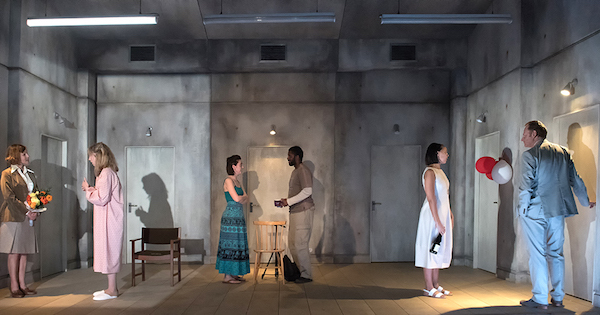 The play began with coverage of the funeral straight from a Danish cable news channel. The play within the play took centre stage, the cast sitting in the front row among us, their faces thrown by video onto screens around the auditorium. A clever use of old and new. They wore tuxedos as if at the opera, and were covered by cameras as such. In other modern twists Polonius had dementia, Rosencranz and Guilderstern were a couple, and both Hamlet and his mother spoke with Irish accents, unlike Claudius. A superb and thoughtful production that gave me new insight into the play. My second choice is Angels In America, the first London revival since the original in 1992. With Andrew Garfield taking the lead of Prior Walter, this was a huge play, both in ambition, talent and scope. Performed in two parts, it’s just over eight hours in total, but amazingly the time went by so fast. Garfield won the Evening Standard Award for Best Actor but Nathan Lane is equally as good as the venal Roy Cohn, hurling racist insults from his sick bed at his nurse, and threatening his doctors with lawsuits, it was still hard not to be moved as he fought for his life using every dirty trick in the book. Although I thought it slightly bloated, and perhaps too self-indulgent in places, the sheer audacity of the play steamrollers over such quibbles. This was a tour de force if ever there was one. 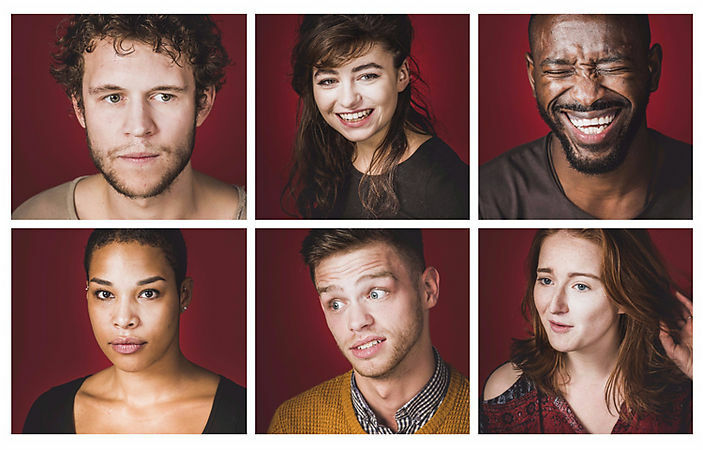 My third production is The Cherry Orchard, a homegrown reworking of Chekhov set in Pembroke in 1982. It made me so proud to see such a great play from a Welsh company, easily the equal of anything I’ve seen in the West End. I’ve been a fan of writer Gary Owen since seeing Iphigenia In Splott, and Killology, also Sherman Theatre productions, and this was the ‘cherry’ on the cake, pun intended! The whole cast contributed to making it truly memorable, with Mathew Bulgo in particular creating a nuanced performance that defied good or bad and was just human. Unsurprisingly then, my favourite company and venue of the year was the Sherman Theatre. As a theatregoer, I’ve been welcomed by every member of staff, it’s foyer is roomy and full of comfy chairs and sofas, and they continually produce work of the highest order, on both the small theatre and the large. Outstanding. My cultural highlight of the year is a little unusual, given so many wonderful choices, but I’ve chosen Slava’s Snow Show. Premiering in 1992, it has toured all over the world, usually at Christmas. I’ve missed seeing it so many times, so when it played the Millennium Centre I was determined to catch it. And catch it I did. Simply put, I was enchanted. When I tell you that I don’t like clowns, and that the entire cast are dressed as sad, world-weary clowns, you can see what an achievement this was! There was no dialogue as such, no plot, and I can’t even begin to describe what went on, yet it evoked such joy and wonder in me that I remembered what it was like to be a child again. Suitable for ages 3-90, I’ve never seen anything that unites all the generations this way. Created by Slava Polunin, a Russian clown and mime, its won several awards around the world, including the Drama Desk Award for Unique Theatrical Experience. I think that sums it up nicely. This is difficult as this year, I was very selective and so was privileged to experience some truly brilliant performances. With one exception. My top top event, was the Hot Tub extravaganza and in part because of my involvement and also because it was so outside my ken. Talking about our engagement with the arts here in Wales and as inconvenient wimmin of a certain age, was most refreshing! Shadow Aspect, Ballet Cymru. Casting light into dark places. Le Vin Herbe. WNO Perfect. Simply perfect. 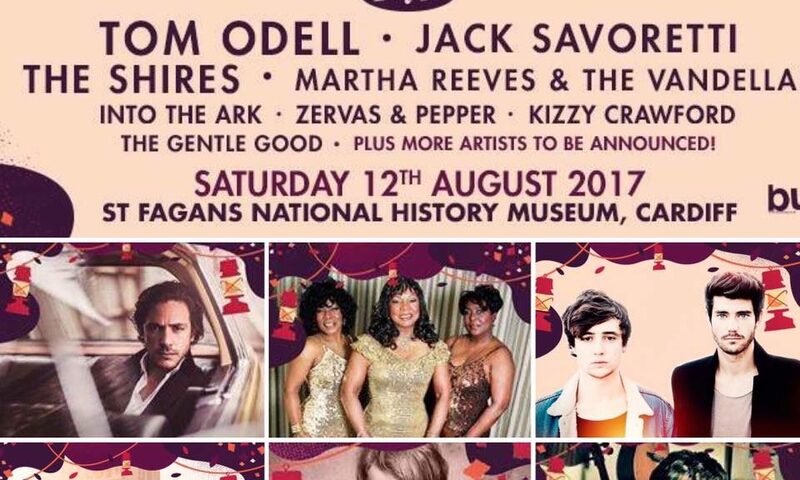 My venue of 2017 would have to be Blackwood Miners Institute. Welcoming, warm, good facilities, parking and a very personable attitude. My Company of 2017 is Black Rat Productions. For making us laugh. Never underestimate the power of a well produced comedy. One Man Two Guvnors. Good hearty stuff! You’ve Got Dragons, Taking Flight. Fear, Mr and Mrs Clark. La Cage Aux Folles, New Theatre Cardiff. Such an emotive and fun musical in which the story is still very prominent today. Anton and Erin Swing Time– A much needed touch of class from years gone by. Celebrating the best of dance and ballroom. A Judgement in Stone– A classic murder mystery that left the audience on the edge of their seats. An amateur sleuths idea of heaven. My Cultural event of 2017. Celebrating the New Year in London watching Cinderella the Pantomime at the London Palladium and watching the fireworks from along the river bank. My company of 2017 is Cinderella at the London Palladium. A stellar cast that really did bring everything to the pantomime. 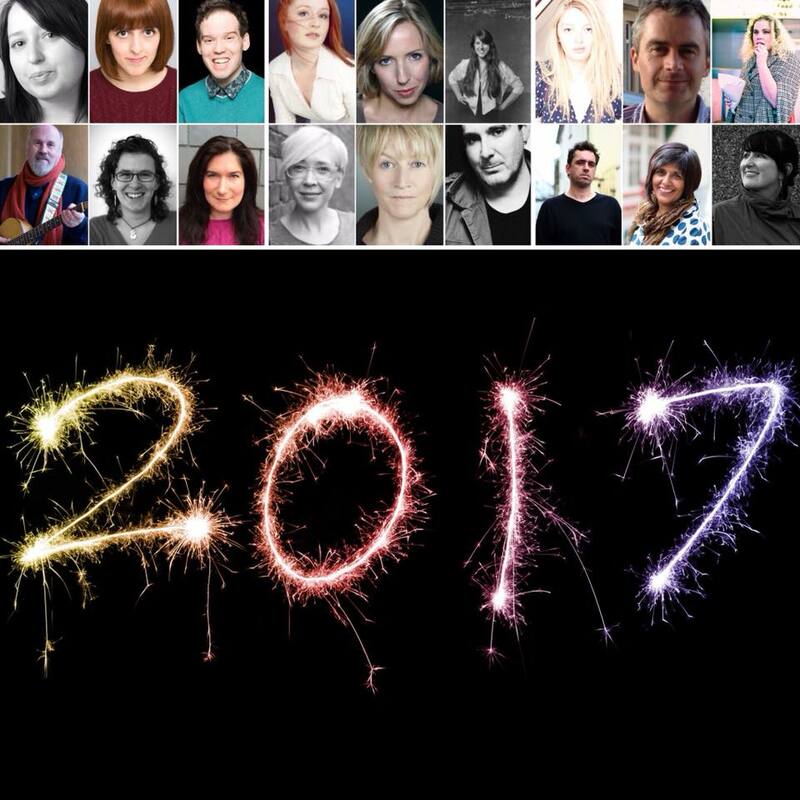 With names including Paul O’Grady, Julian Clary, Lee Mead and many more it was ‘the’ theatre experience of 2017. 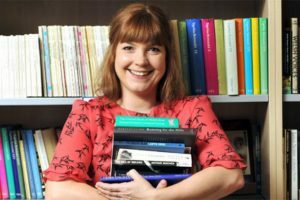 I would like to highlight the work of Rachel Pedley and Avant Cymru during 2017. A venue of great importance to me during 2017 has been The Factory, Jenkin Street, Porth RCT. 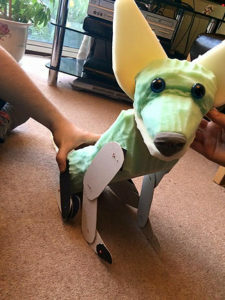 The production took a book from the well known writer Michael Morpurgo (of War Horse fame) and just like War Horse, transformed the stage with great creativity to take us to different places, and make us believe that the animals were real on stage with intricate puppetry. This show brings a different taste to the usual Christmas shows full of kids entertainment and religious entail. 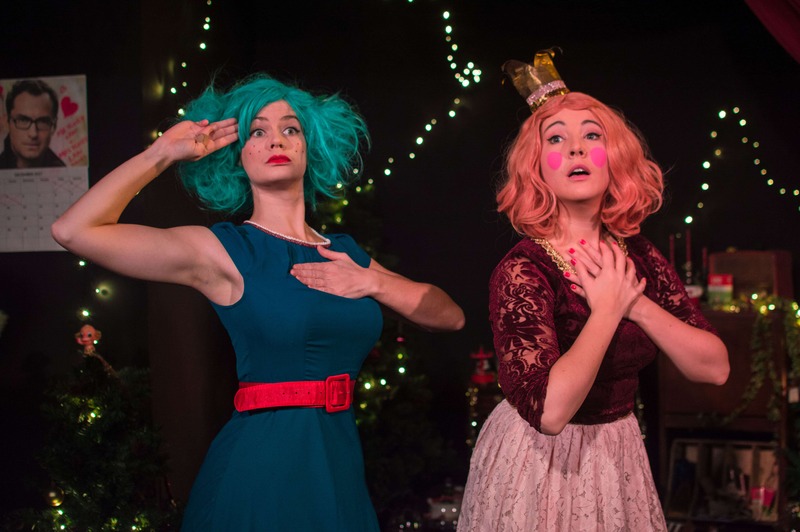 Flossy and Boo create and exciting, fun and fully adult show to get you in the Christmas spirit but laugh at it satirically. Full of unusual concepts, music and lots of comedy, The Alternativity really gets you in the mood for Christmas. An arrangement of dance pieces, all with different concepts, BalletBoyz manage to astound yet again with their seamless movement, great acting and wonderful stamina. Balletboyz seem to only get better and better. My Company of 2017 must be BalletBoyz. They are just incredible! The Wind in the Willows, Sherman Theatre. Great fun, highly creative with a very talented production team. The Cherry Orchard, Sherman Theatre. The best exhibition I have seen this year is : Swaps – David Hurn – An outstanding and important exhibition at the National Museum Wales . Cardiff Fringe Theatre Festival, particularly the event in mid July (but all the events were stunning) where I read some of my own work. I met great people and had a wonderful time and it has definitely shaped my year. I’ve become more confident with sharing my own work and have enjoyed events later into the night too, which isn’t something I did enjoy before this festival. Layton’s Mystery Journey. Even though I didn’t enjoy the game I think playing it and experiencing a franchise I’ve loved in the past in the present was important for me. It made me realise that things don’t always survive my rosé-tinted glasses of nostalgia, and upon taking them off I’ve grown a little as a person. I know my interests much better, I know what upsets me in media much better, and I know my inner circle of friends much better, based on how we all reacted. Sometime positive can come from something initially negative, and I’m glad something has. Iain Thomas’ “300 Things I Hope”, something I read very early on in the year and something that has been the brightest spot of almost literal sunshine on my bookshelf ever since! It’s a book I’ve traded with friends so we can see which ones stick out to us, it’s a book that spurred me on in my own below-the-radar poetry endeavours, the book that hundreds of sticky notes stick out off, and it’s the book that I like to pull down every so often and flip to a page and remember exactly why I love it. My company of 2017 would again be Cardiff Fringe. Discovered it this summer and have been attending the monthly fringe cafes in The Gate ever since! It’s been a great time and one I hope to carry on attending. I look forward to see where it goes in 2018! My personal cultural highlight would probably be the day I finished the first draft of my book – August 12th, 2017! I’m making progress on my goals! I’m on a second draft right now, and could not be more thankful for this year. I’ve had a really great one! The best company for me in 2017 is Fio for pushing the boundaries of theatre and creating thoughtful and impactful pieced by working with community groups. They also incorporate hard to reach voices in to their work. The best venue for me in 2017 is Sherman Theatre for the work they do in supporting new voices in theatre, and the efforts they go to in order to make theatre an inclusive, accessible experience. But I suppose two of my biggest personal highlights this year were finally getting to see the American Folk/Indie group Bon Iver. I’ve followed them for many years and never been able to get tickets for as they typically sell out instantly and cause websites to crash, etc. I once even considered flying to Hong Kong to see them on their Asian tour before realising that was a bonkers idea. My husband surprised me twice this year with tickets to see Bon Iver headline the Forbidden Fruit Festival in Dublin in June, then again in September at Blackpool Winter Gardens. My husband isn’t the biggest Justin Vernon/Bon Iver fan but it meant the absolute world to me. Through the concerts, I was also introduced to the work of Lisa Hannigan and The Staves, which I’ve really enjoyed since the Dublin concert. I wouldn’t say I am massively up to date, experimental or fashionable when it comes to music – I like what I like, but despite the horrendous rain and mud, these two concerts were so meaningful for me. I’ve promised my husband I won’t make him sit through any more whiny Justin Vernon music in 2018. But this of course now means I will be dragged to some kind of weird Cajun/Zydeko/Blues music fest. There’s always a trade-off! Woman in Black. New Theatre, Cardiff. It was something truly different. Obviously it was still scary to the point of terrifying but there were just so many layers of meaning that were left unsaid so that the audience could figure them out it was just truly flawless. 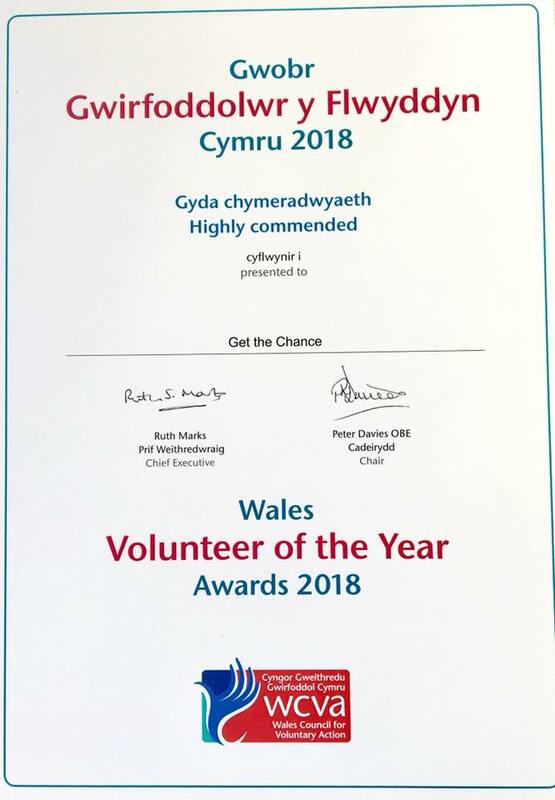 Best Organisation, Wales Millennium Centre. It provides a gorgeous temporary home for West End hits allowing people who can’t travel to London the chance to see them. My company of 2017 is Taking Flight, particularly for their work with young people. In terms of inspirational organisations in 2017, I’d pick National Museum Wales for being genuinely collaborative and inclusive. I have loved their 2017 programming (especially Artes Mundi, Gillian Aires, Agatha Christie photos and Who Decides?) I am also following the exciting developments and vision for St Fagans. Artes Mundi was personal cultural event of 2017. I found Lamia Joreige’s Beirut piece really interesting and loved Bedwyr Williams’ Big Cities – I think I went back to see the exhibition four times I enjoyed it so much! The Cherry Orchard, Sherman Theatre. This was not only a pitch-perfect translation of the source material, but a highly relatable, funny and melancholy family drama. Rip it Up, St Davids Hall. A sublime show, what it lacked in narrative it made up for in energy, fun, and spectacular dancing. Burning Lantern, St Fagan’s. Despite Queue-Gate, the musical acts were stunning, sublime, and sung their hearts out. I’d have to nominate Sherman Theatre for my venue of 2017. 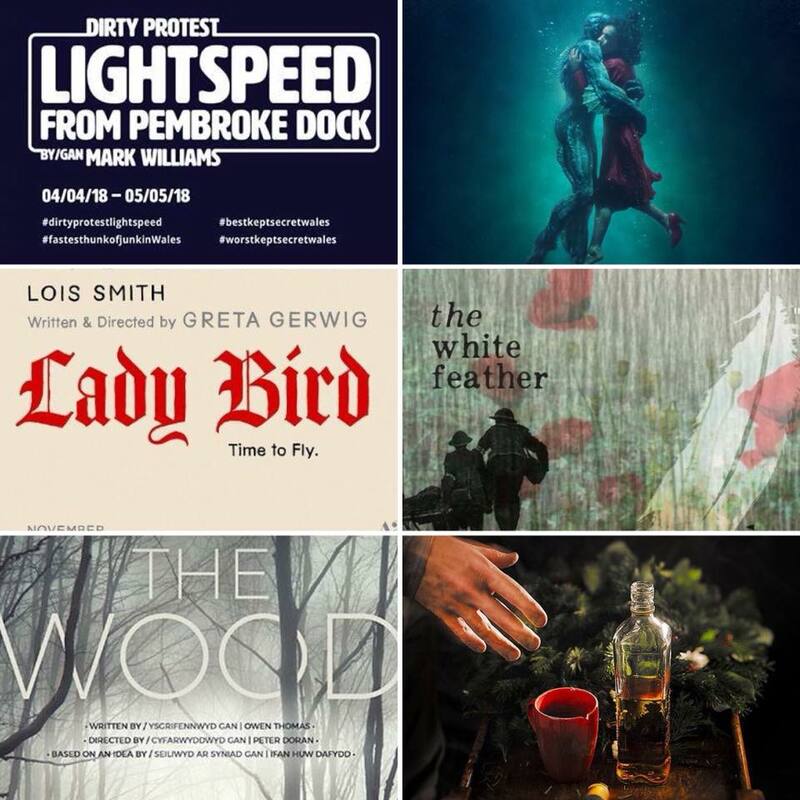 We on the Law and Literature module at Cardiff have been linked up with Sherman Theatre since 2016, and they have been nothing but supportive, encouraging and welcoming – we have even built in their plays, performances and most recently a post show discussion panel into our module – and I was honoured to be on the post show discussion panel for The Cherry Orchard. They have also kindly come in to speak to our students at lectures – most recently Tim Howe, Communities and Engagement coordinator, led a very successful session on Law, Theatre and Performance, and our Law and Lit students were highly interested and engaged. My favourite cultural event of the year was Pride 2017/ Return of the Big Weekend. It was my first Pride and it was utterly joyous, especially (or perhaps deliberately & defiantly in spite of) all the dreadful things that happened earlier in the year & the year before. It was beautifully, joyously defiant. Funny Girl, Wales Millennium Centre. Sheridan Smith was outstanding, any misconceptions I had about her being the right person for the role where blown out of the water the minute she belted out the first song of the show. Grease, Wales Millennium Centre. A show that I never wanted to end, a truly spectacular musical in every sense of the word, I want to hand jive baby for days after. Dinosaur Babies, National Museum of Wales. A truly amazing exhibition for all ages and is worthy of going on tour all across the country with ‘made in wales’ (and with a little bit of help from America) being proudly stamped on it. My personal cultural of event 2017 was the way the whole of Wales not just the Capital got behind our boys in wishing and dreaming them in qualifying for the World Cup. It seemed that the papers and even just people on the streets whether the be commuting to and from work or having a drink in the pub where talking about it and with so much pride that it made my proud to be Welsh. Harry Potter and the Cursed Child Part 1 & 2 – Much anticipated, did not let me down! 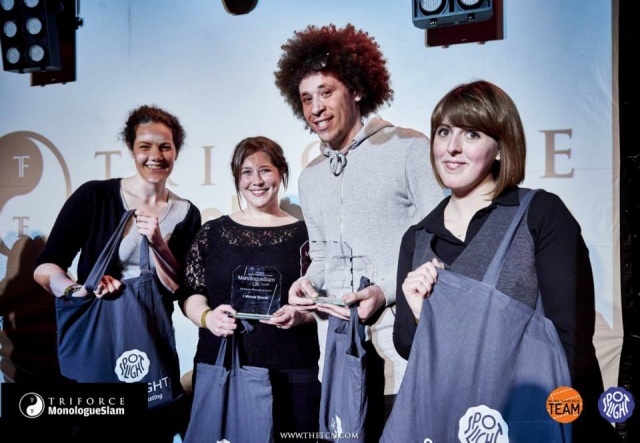 Best Venue – Wales Millennium Centre – With a mix of populist, and culture for all ages. The ‘Welsh Hills Works’ or Thomas and Evans of Porth, were the Universal Providers of most essential grocery items, with its Corona Pops, Stone Ginger Beer, Lemonade and other beverages being known as “absolutely unequalled for purity and flavour” from the late 19th century into the middle/late 20th century. This vast business empire was affectionately known throughout the Rhondda Valleys simply as “T & E’s”or Terry Stores. In this the 21st century the Welsh Hills Works can be defined as a diverse and creative multimedia organisation with community ideologies, providing a stepping stone for the creative industry and a social enterprise network. It promotes artwork through its workshops, provides workspace that can be used by local artists as well as professional photographers/artists in its Art in the Attic. In recent years it has held various televised popular music programmes plus the original S4C production of the Jonathan Davies Sports Programme entitled “Jonathan’. All Art is Subjective, Right? was the question asked by a group of creative artists whose Exhibition “An Interpretation of Art” was presented from Monday, 30 October to Friday, November 17, in The Robert Maskrey Gallery at The Factory. 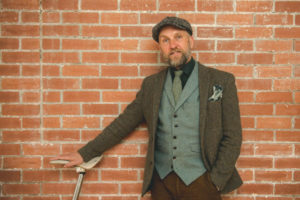 The Gallery itself is situated on the top floor of the Factory, it is accessed by four flights of stairs – a stair lift is available – and as with all Art Exhibitions held at this venue, it is entitled Art in the Attic. The Gallery is open Mondays to Fridays from 10 am to 4 pm. Barbara Castle, Jeff Rowlands, Gervaise James, Jane Fox, Rhys Burton, Eric Thomas, Dawn Hoban, David Hoban, Joanna Israel, David Roberts and Oneill Meredith. From the glistening glassware, the ceramic houses, the in depth landscapes that you could almost walk into, combined with contemporary displays. The use of clay moulded into exquisite sculptures that made you think, the vast array of photographic views that took your breath away, comparable to the face that appeared almost to be alive, like an ancient Pharaoh or Poseidon emerging from the Ocean. It was an eye catching event that held everyone captive. It is said that beauty is in the eye of the beholder, this Exhibition showed the magnificence of creativity within the locality. The Gallery itself was crowded with many relatives, friends plus people who knew their ‘Andy Warhol’s’ from their child’s ‘artistic’ blobs. The atmosphere was alive with the colours of the rainbow as the bronze bust of Dylan Thomas (£3000) created by Oneill Meredith, greeted everyone on entry. It was seemingly apt that the bust was placed close to the table offering wines, fruit juice or water. Next to an array of food lay a book where you were invited to make known your comments about the Exhibition; you nibbled as you deliberated. 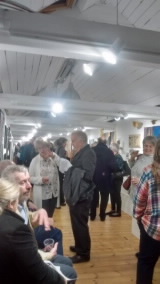 The number of people attending up to the time of the private view had been upwards of 90 which showed the strength of interest and knowledge of a reflective audience in the work of the local artists. How did they manage to get all the pieces up the four flights of stairs, safely and securely, to the Gallery. Dawn’s work shown was an accomplished collection of oils on the Fragility of Life and a series of Still Life in Brighter Colours, with her three Ceramic Collections entitled Progress with a Question Mark?. 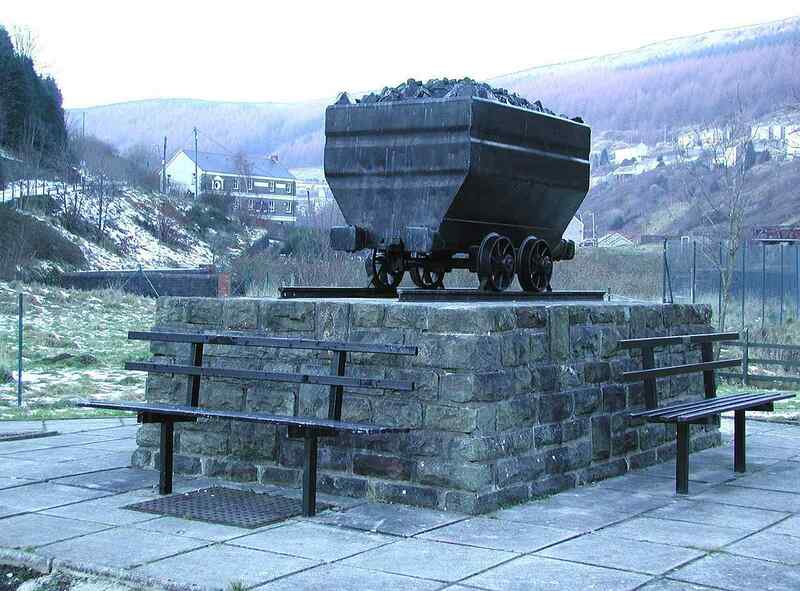 The assembly of which reinforced the Artist’s views of the history of the Rhondda Valleys and its people. 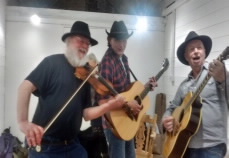 The Entertainment was provided by three musicians Gerhard, Phil and Rob, who, as they were all wearing hats, finally named themselves “MenInHats”. The Gallery glittered, the audience as one provided compliments as families expressed the pride in their family members. The music played on well into the night. William Evans (1864 – 1934) came to the Valleys a raw country lad from Pembrokeshire; he was a stranger to the heavy industrial changes that were affecting the area’s ancient industry of farming. 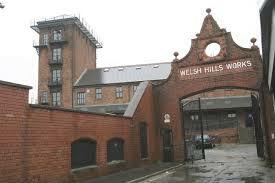 It may be the tallest of the remaining existing buildings of Porth, (bearing on its turret side the title of Welsh Hills, the first brand name of the mineral waters produced by Williams Evans), as The Factory as it is now known is the heartbeat of the town. It throbs with life, as in a new era it rises with the development of the Rhondda Valleys. Why not pop into the POP Factory Porth and see for yourself? Community Commemorate the 150th Anniversary of the Ferndale Mining Disaster of 1867 on Wednesday 8th November 2017. 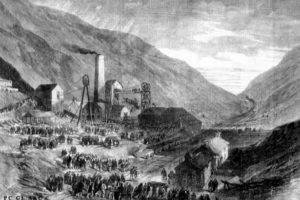 On Friday 8 November 1867, the whole district of Ferndale and Blaenllechau was shaken by two consecutive explosions at Ferndale No.1. Rescuers were hampered by roof falls, and with the air so foul, with some trepidation the furnace which powered the ventilation was relit. It took a month to recover the remains of the 178 men and boys, with most bodies showing signs of severe burning, and many so badly disfigured it made identification impossible. Teenage boys as young as 12 perished and at the subsequent enquiry, the lamp keeper stated that safety locks had been tampered with, and incidents regularly occurred that breached the company’s rules. Although reported to the mine manager, these breaches were ignored. This was later disputed by fellow miner’s from the Aberdare valley. On Wednesday 8th November at 5.00pm, to commemorate the event the community will congregate for a short service at the Ferndale Miner’s Memorial in Greenwood Park (which was erected in 1988), with the community following in the footseps of many miner’s to Penuel Chapel, in Duffryn Street, Ferndale. At 6.00pm at Penuel Chapel, the young men and boys will be remembered through an evening of reflection and reminiscing by children from Darran Park Primary School and songs from Cor Meibion Morlais and music from Tylorstown Silver Band. There will also be poetry readings, film and the launch of a community exhibition outlining the development of the coal mines, the disasters and what followed as a result. Organisers Ferndale Grassroots are grateful for all the support received to date but are still seeking relatives of those who lost their lives or who have any memorabilia, photographs etc. relating to Ferndale Colliery, which could form part of the week long exhibition. 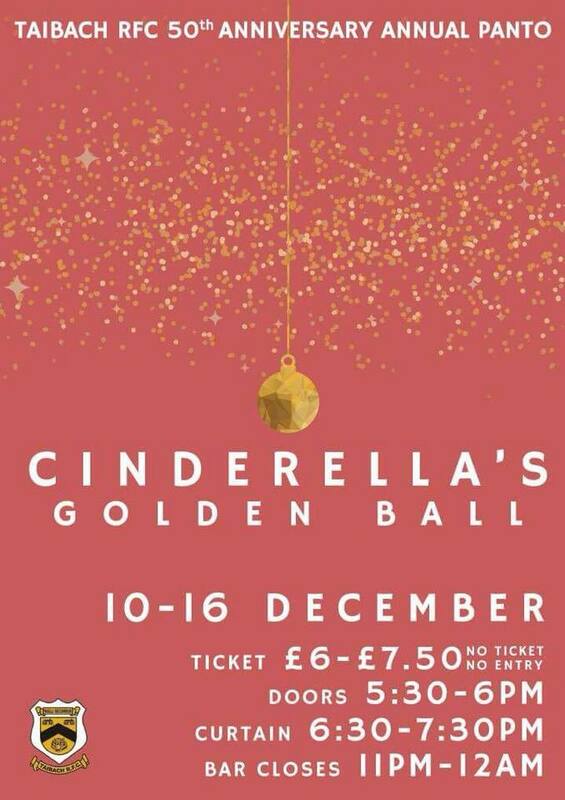 This is a ticketed event (due to capacity) and tickets can be booked via email: ferndalegrassroots@gmail.com, Facebook: Ferndale Grassroots or contact Catherine on 07792 423493. Hi Emily great to meet you, can you give our readers some background information on yourself please? 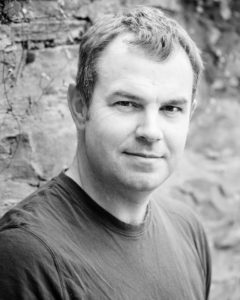 Hi, I’m an actor and voice artist originally from Carmarthenshire. I studied acting at the Italia Conti Academy of Performing Arts and it was after graduating that my interest in voice over and audio editing started to develop. I began to record and edit my own work using home recording facilities. 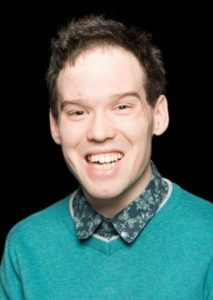 I enjoy performing and workshopping pieces from new writers and I’ve also worked with theatre in education and run workshops for children. So what got you interested in theatre and the arts? I had an interest in performance from a young age, but it wasn’t until I joined the Swansea Grand Youth Theatre that my passion for Theatre and the Arts started to grow and I decided I want to pursue acting as a career. Joining a youth theatre was a great opportunity for me to meet new people outside of school. It really built my confidence and brought me out of my shell; it’s something I would encourage all young people to do even if they don’t have an interest in being a performer, as it helps with confidence, and communication. 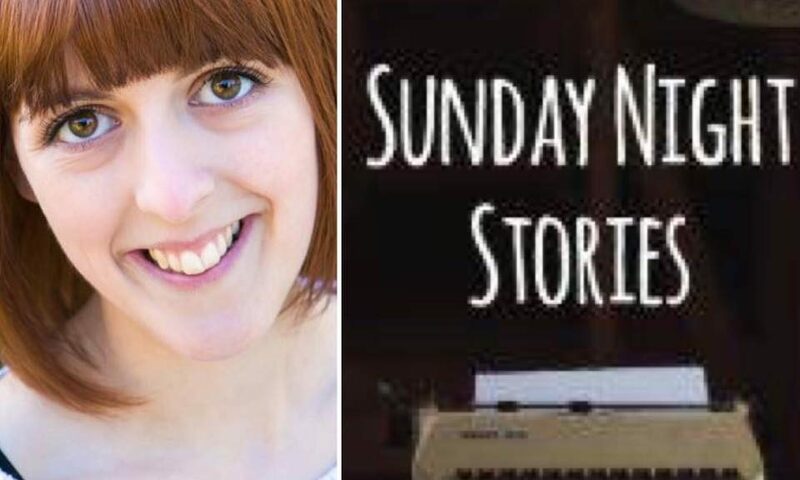 ‘Sunday Night Stories’ is a project you have developed yourself which features stories/plays/poems by talented new writers. It provides a platform for new writers to get their work heard. Can you tell us more about this initiative please? I started Sunday Night Stories after taking part in a few different new writing projects in Cardiff. 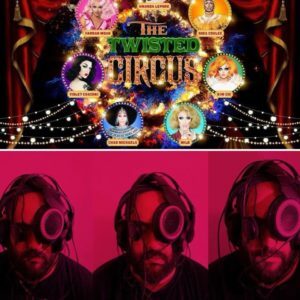 I have always enjoyed taking part in new writing events and as I am also a voice artist I thought it would be an interesting idea to combine the two. 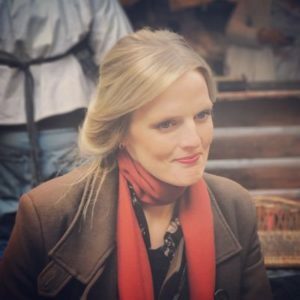 New writing events are incredibly rewarding and helpful for the writer, actor and director but I thought by recording the pieces and turning it in to a podcast/having an audio recording, you are opening yourself up to a much wider audience. Also, by having an audio recording you are able to listen back and make edits and also use it to showcase your work. 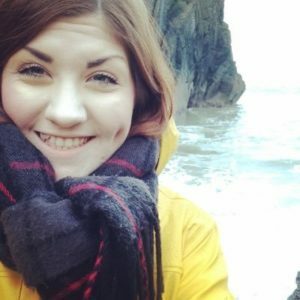 I really wanted to create a useful platform for all writers, no matter what qualifications or experience they may have so they can gain feedback and the exposure they deserve. 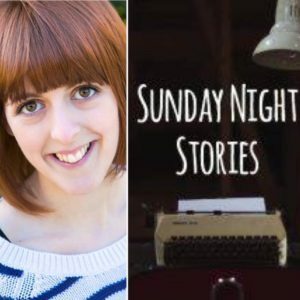 I’ve recently partnered up with writer Darius Nash for a Sunday Night Stories Special of Hamish and Bob, a radio play written by Darius about a young boy with autism and his dog. It’s going to be a challenging piece but we are really excited to develop and share it. 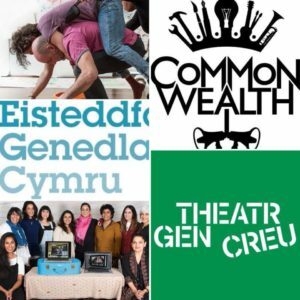 Get the Chance works to support a diverse range of members of the public to access cultural provision Are you aware of any barriers to equality and diversity for either Welsh or Wales based artists/creatives? I was lucky enough to be a workshop facilitator for Omidaze Theatre Company’s recent production of Romeo & Juliet, running workshops on Shakespeare and politics for primary and secondary school children. Schools workshops for Omidaze Theatre Company’s production of Romeo & Juliet. This really highlighted for me how little opportunity there is for children to experience theatre and the arts, whether it’s the cost, content, or just a lack of interest. During the workshops the children were excited to be getting up on their feet, performing, playing and actively working through and understanding (quite complex) text. 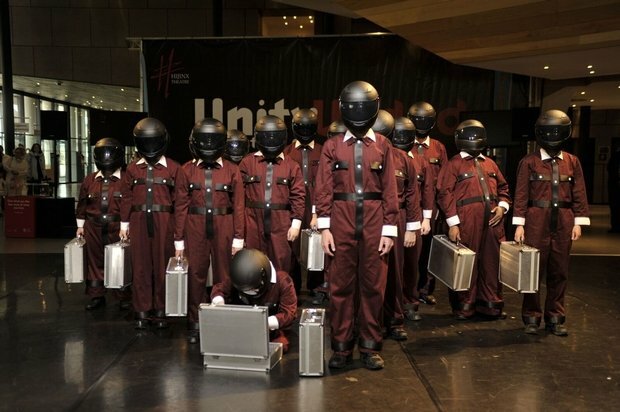 It helped them use their imagination and recognise that theatre is for everyone. I felt this was incredibly important and is something that needs to be developed and offered more to children, helping them to explore all aspects of theatre and the arts. There are a range of organisations supporting Welsh and Wales based theatre companies, I wonder if you feel the current support network and career opportunities feel ‘healthy’ to you? After working in London and now Cardiff, I have found that there is a great support system available in Wales and a sense of community with Welsh artists in general, as there are lots of opportunities to create and it’s improving all the time. 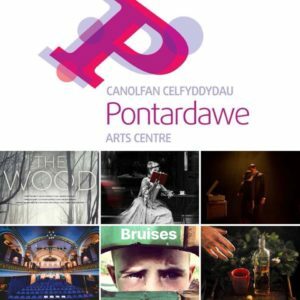 It would be great to see more workshops available for all aspects of performance, and for there to be more casting opportunities in Wales for Welsh actors. If you were able to fund an area of the arts in Wales what would this be and why? As I previously mentioned I think it’s incredibly important to develop more opportunities for children to experience theatre, not only by going to see it but also through creating it themselves. 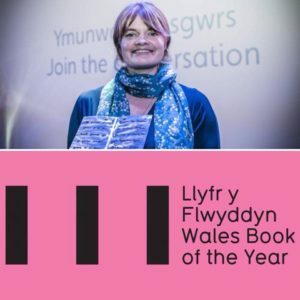 I also think it would be great to encourage more new writing projects in Wales, encouraging people who have the urge to write but maybe not the confidence to do so. 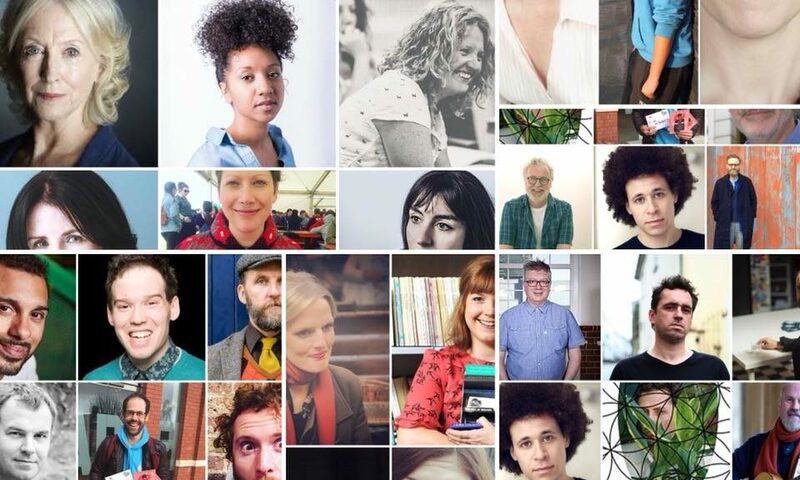 There are so many great companies around at the moment producing work from new Welsh writers and I think it’s something we need to continue to encourage and develop. 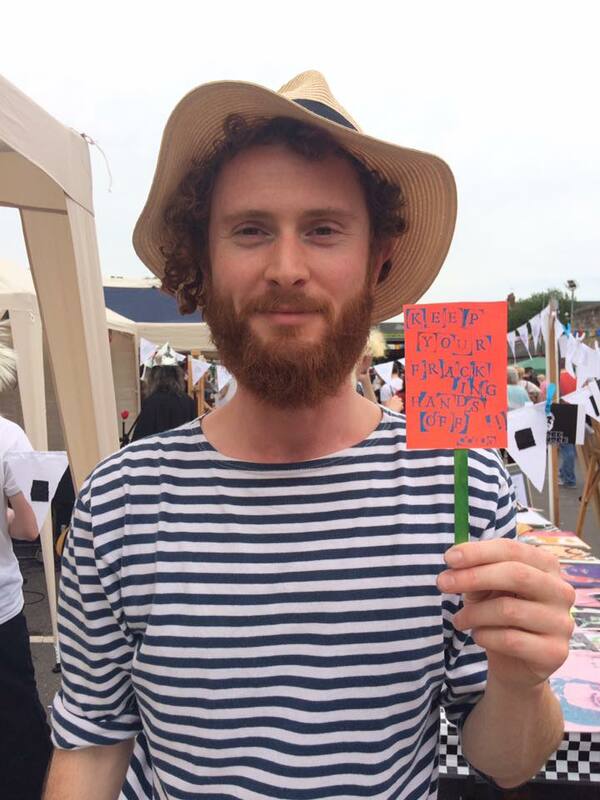 What excites you about the arts in Wales? What was the last really great thing that you experienced that you would like to share with our readers? What really excites me about the arts in Wales is how welcoming and accepting everyone is to new ideas. 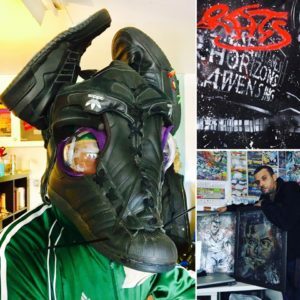 There is such a sense of community, and you truly feel like everyone is willing to share, offer advice and help each other along, which is what being an artist and performer is all about and is the main reason I started this project. 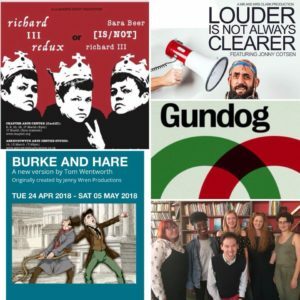 It’s really great to have such a range of writers share their work with me and let me give a voice to their stories; it just highlights how important community is in theatre and the arts. The sun came out. But not enough people came with it. 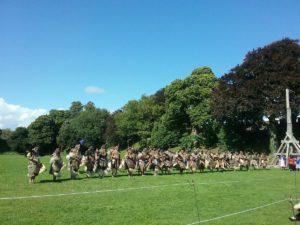 Cardiff Castle – a spectacular venue and in the coursing heat of the last day of summer, we saw the Battle of Isandlwana replayed. We heard speeches addressing the contemporary relevance of this violent occasion. We heard of the move from land grab to tourism; of enmity to friendship. Good speeches but hard to hear in fact as many of the people around me talked all the way through them. So many chose to experience this remarkable and apposite performance through their phones and not through their own eyes and senses. Such a pity so many of us no longer look and listen and absorb in the moment any more. So many wandered off before the performance had finished – pity, they missed the Zulus and their Royal family chanting, singing and mingling with the crowd. Where is the respect for the people who have travelled so far to share with us their culture and their skills, history and time? Where is the respect for ourselves to return that compliment? Our guests deserved better and the organisers too. 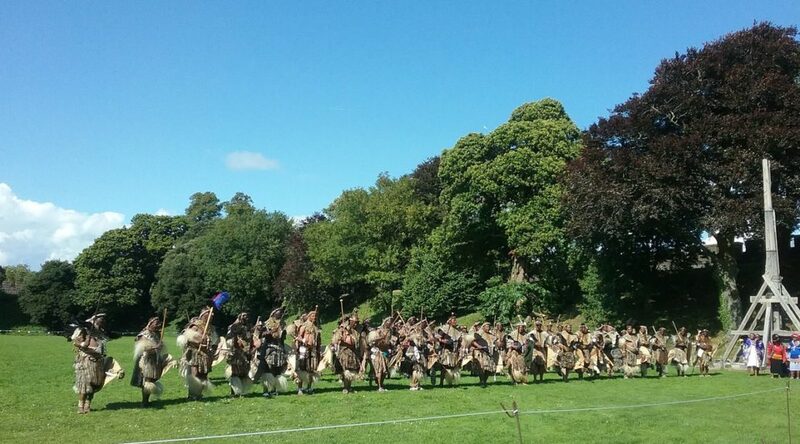 It was also a pity that Cardiff Castle insisted n charging entrance – although the Re-enactment itself was free. The performance started at 4pm so it was not as if the Castle would have lost a day’s revenue. Sometimes generosity has its own reward and our guests should have had a bigger turn out. This was a once-in-a-lifetime experience. I cannot thank the organisers enough for giving us the most impressive and life-affirming hand-shake between two nations, Wales and Zululand, after all these years. The opening night of any performance is usually pretty interesting This was something else. A royal visit, the hands of conciliation shaking across the decades, the welcome of the Welsh to the Zulus, the acknowledgement of the times past and present with no apology. I cannot say that it was a comfortable feeling in the room when the British role in the taking of Zululand was portrayed. The massacre of British forces at Rorke’s Drift promptly followed by the razing of the villages and the kidnapping of the King. An unrecorded conversation between Queen Victoria and King Cetshwayo and his return to South Africa. Some of us in the audience dared to laugh at what that conversation may have comprised, given the dear Queen’s proclivities! This lightened an otherwise confused response to a musical storytelling which did not portray our Empirical desires in a good light. But a portrayal generous enough to acknowledge the bravery of soldiers on either side. Bold enough to openly regard a mutual respect for the field of battle and conquest. Beautiful in its dance scenes, fearsome in its warring, acute in its narration – comic in its mimicry of the gun-carrying redcoats. The skin-prickling returning cries of warriors in the audience. The poet. The costumes. The toe-tapping music. The beat. The heat. This was a slightly chaotic, slightly shambolic, utterly brilliant rendering of a terrible business all round. A theatre packed with dignitaries and artists; and the men stand for the Queen. A queen surrounded by family and protected by warriors. Splendid and significant, she spoke of their visit as an advance party whose report back would determine any subsequent visit by the King. I get that. This is not easy political fayre. 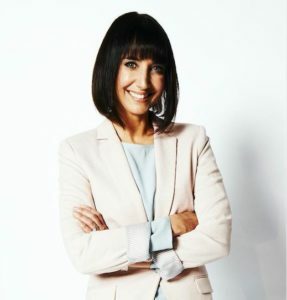 Dorcas Cresswell and her team should be applauded for their efforts in bringing these extraordinary and important events together in ways accessible to all of us. It was refreshing not to hear apology for events long past but acknowledgement; commemoration not dismissal. Art and theatre expressing easily subjects otherwise difficult to discuss openly. I hope I shall never forget seeing Zulu warriors hop on a bus in central Brecon. I have a feeling I might not be alone in this. Never underestimate the impact of a well-placed assegai. 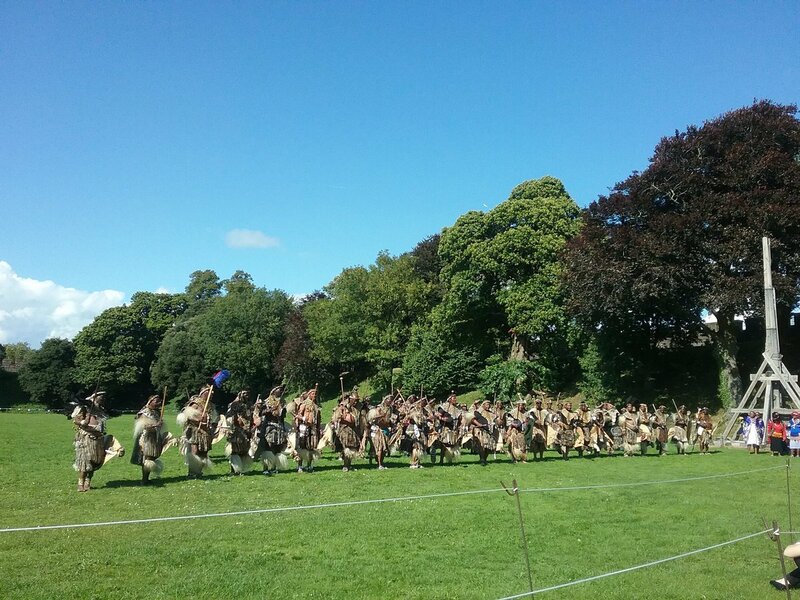 Now – end of October: Sibanye – Brecon Welcomes the Zulu’s! Free, non-ticketed exhibition in the Andrew Lamont Gallery, top floor of Theatr Brycheiniog. An exhibition of photographs that were taken during a visit in January 2017 to KwaZulu-Natal by five members of The Friends of The Regimental Museum of The Royal Welsh, Brecon. 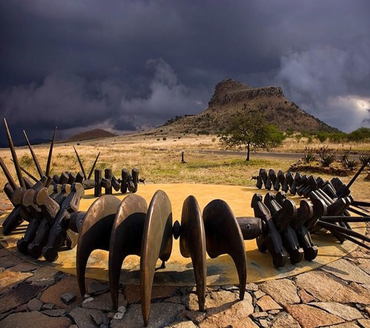 The visit was by invitation of KwaCulture – an organisation based in Durban and the visit coincided with the annual commemoration of the battles of Isandlwana and Rorke’s Drift which took place in January 1879. 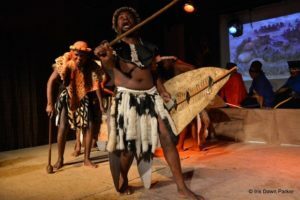 The exhibition is part of the King Cetshwayo 135th Celebrations in Wales, August 2017 that has been organised by The Friends of The Royal Welsh Regimental Museum in partnership with KwaCulture and Maluju Charity. The Andrew Lamont Gallery is open during Theatr opening hours and is fully accesable via the lift. 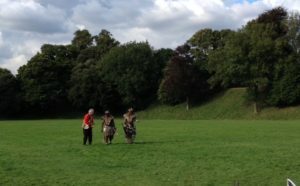 On Saturday 12th August, St Fagan’s embarked on their first foray into launching an annual Glasto-esque fest of family friendly fun in the heart of the Welsh countryside. 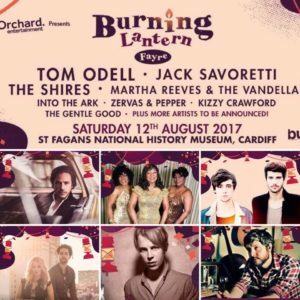 An impressive musical smorgasbord headlined the Orchard-organised inaugural event, from Tom Odell to Martha and the Vandellas, Jack Savoretti to the Shires. In addition, there was also a variety of non-musical entertainment to be had throughout the day, from arts and crafts to artisan-quality food and a funfair/ circus for good measure. 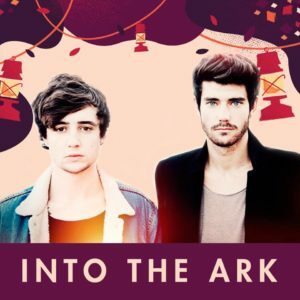 Welsh acoustic duo Into the Ark, local boys from Blackwood turned The Voice UK 2017 finalists, started the show with soulful, spirited charm. They performed as if they were headliners – and to us, they were. 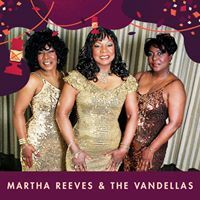 Martha and the Vandellas followed with an energetic set, infusing the festivities with a party atmosphere and setting off the sing-a-long spirit with classic hits like ‘Jimmy Mack’ and the timelessly terrific ‘Dancing in the Street’. 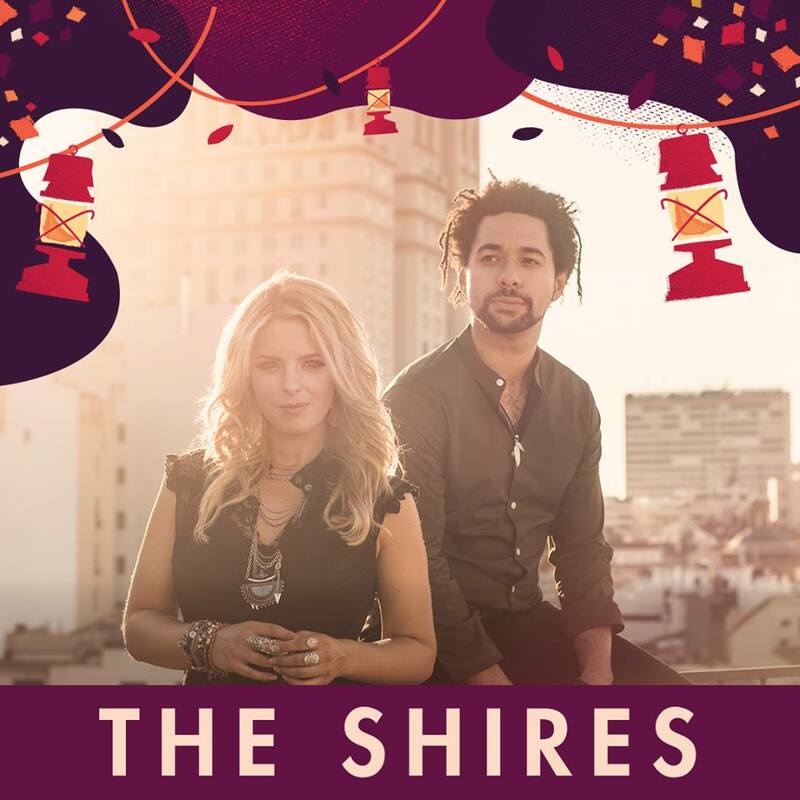 Third to take to the stage were Brit country duo the Shires, who held the distinction of being the first act whose very presence raised the crowd to their feet. And what a joyful noise they made on that sunny Saturday afternoon, belting out fan-favourite hits like ‘State Lines’ and ‘All Over Again’ as well as making time for more melancholic melodies such as ‘Daddy’s Little Girl’. They promised to be back soon, and here’s hoping it won’t be their last time in Cardiff – judging by the cheers that permeated their performance, there are many (including myself!) who are looking forward to welcoming them back to Wales in the not too distant future. 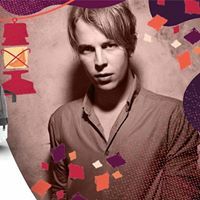 Tom Odell provided a suitably bombastic closing set, tearing through tunes with a spellbinding falsetto Matthew Bellamy would have been proud of. My personal favourites of the night were the achingly haunting ‘Can’t Pretend’ and his career-launching debut ‘Another Love’, both of which – along with his remaining repertoire – were elevated by a dazzling light show that punctuated every syllable of Odell’s crooning choruses. Hover, it was the penultimate performance of the festival, provided by the incomparable Jack Savoretti, that stole the show with a haunting, husky voice that would make the likes of Paolo Nutini and Tom Waits blush. 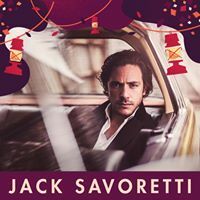 There is simply no-one else in the world who sounds like Jack Savoretti, and he suffuses his songs with the raw, rugged sound that has become his trademark. Hearing him live was a special treat, though I have to compliment almost everyone on the day who performed live for sounding just as good as, and often better than, the record. There were too many favourite Savoretti songs to mention, from the rebel-rousing ‘We Are Bound’ to the sorrowfully sincere ‘When We Were Lovers’, and the True Blood-tinged ‘Knock Knock’. It was a real treat to have an artist of Jack Savoretti’s calibre in this event, as it was with so many of the marvellous musicians that graced St Fagan’s that day. The sheer variety of food on offer – from gourmet burgers to posh pizzas – was a feast for the eyes and nose, but sadly not for the stomach. Reportedly 8,000 festival-goers walked the fields of St Fagan’s that day, but far fewer managed to purchase even a single crumb due to the bloated queues that stretched out for hours on end. ‘Queue-Gate’ was such a widespread issue that the ensuing tweet-storm urged the organisers to issue an apology, which, though appreciated, still failed to understand the backlog (many spent up to 2 hours queuing at a single stall), or the duration (it was an issue throughout the entire day, not just the evening). Worse still, the organisers banned any food being brought onto the premises, meaning that the supposedly family friendly event left many families with the choice of queuing for hours or going hungry. I only braved a queue at around 9pm, by which time all that seemed to be left in the entire venue was a single Danish pastry (at that point, it was any port in a storm). Even if picnics had been allowed in, it would have been impossible to resist the delicious scent that wafted across the fields throughout the event. The ratio of people to food vendors was severely misjudged; in future, either lower the maximum number of tickets sold, or increase the amount of food stalls on offer. In addition, the site itself was tricky to navigate. I didn’t even know there was a second stage for supporting acts, and spent the first three hours eagerly awaiting the arrival of Kizzy Crawford, an enchanting bilingual singer, on the main (at that time I thought the only) stage. It was only after my increasing hunger necessitated exploring the venue that I stumbled across a beautiful bandstand hung with twinkling fairy lights. 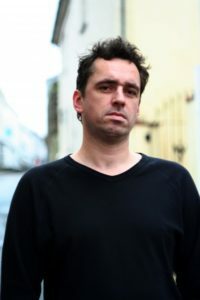 The dulcet tones of Gareth Bonello (aka the Gentle Good) drifted across the evening air, after which he mentioned fellow Welsh-speaking singer Kizzy Crawford’s earlier set, and my heart dropped. If only there had been a programme, or schedule of some kind, listing the various locations and who was doing what when, it would have greatly enhanced the accessibility and exploration potential of the festival experience. I had a wonderful time at my very first festival experience. However, there are things at a fundamental level that must be addressed for a follow-up fest to be a success, from better management and organisation to a programme of events and acts. However, it remains a very special event to have been a part of, and it was a real privilege to see so many incredible musicians pour their hearts, and their songs, in that picturesque place. 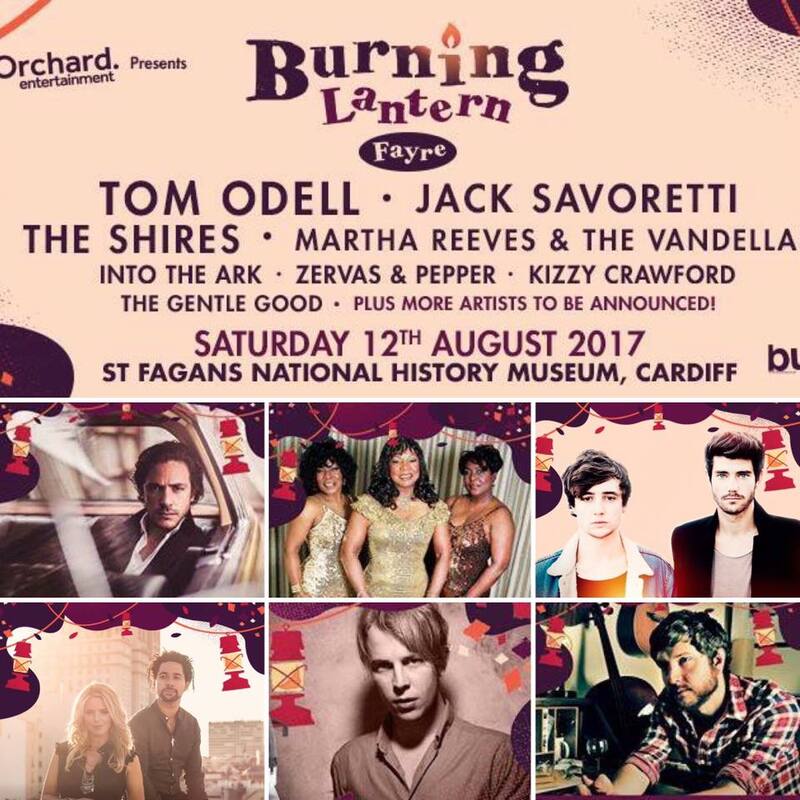 I would love to see the Burning Lantern festival return next year, especially if its maiden voyage was able to attract such a breadth of talent from all spheres of the musical world – but it has to take these concerns on board for it to rebuild trust and maintain interest in its future. 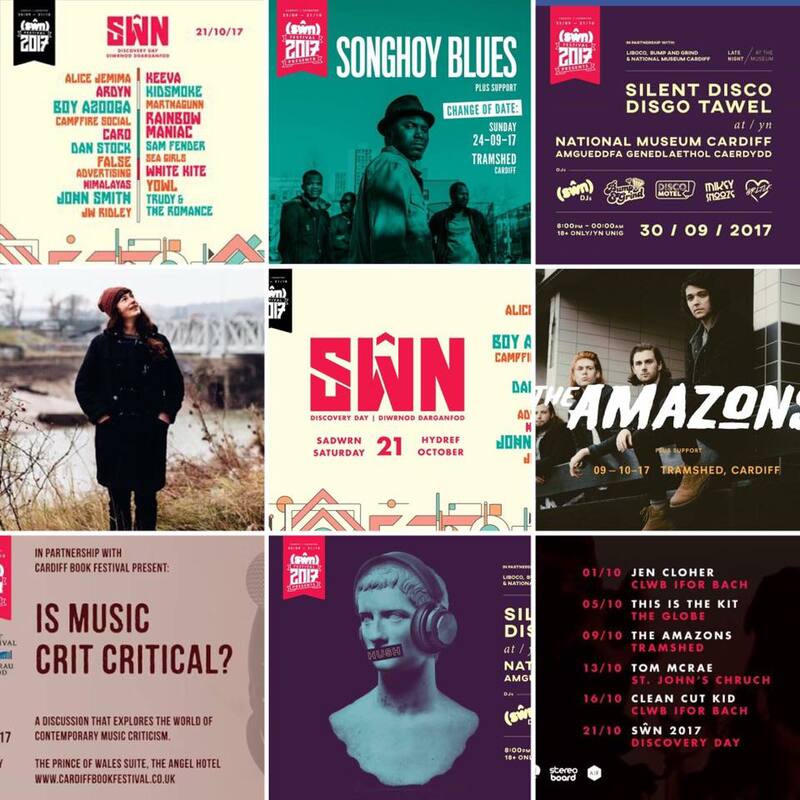 Get the Chance to be a music journalist at this years Sŵn Festival. 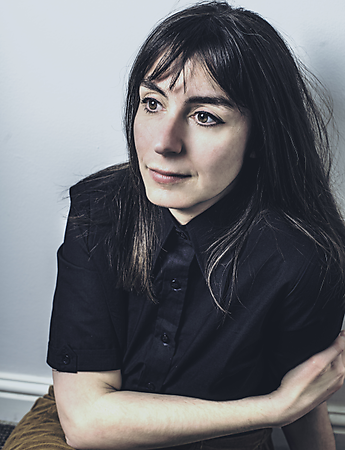 Interested in brilliant contemporary new music ? 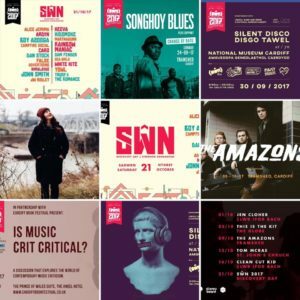 Want to Get the Chance to see and review Songhoy Blues, Aquilo, Jen Cloher, The Amazons and loads more amazing artists at this years Sŵn Festival? Want to access a free workshop which will give you an insight into the role of a music journalist? Then, this is for you! You will take part in a 2 hour workshop with Guy O’Donnell Director of online magazine website Get the Chance at a venue to be confirmed. You will need to be free to attend a range of performances during the festival.